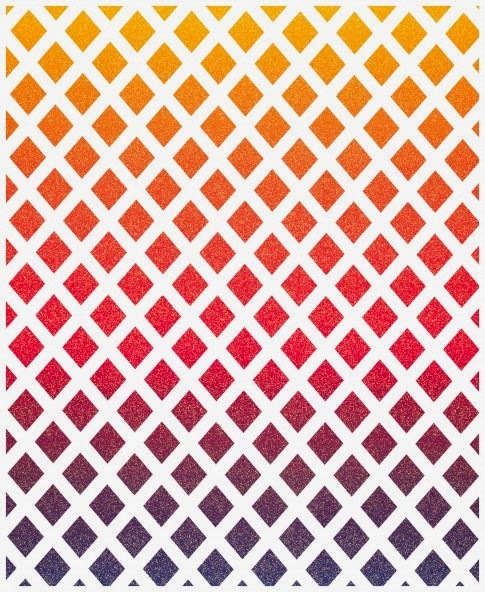 As part of our Color Series, we've been focusing on artists who inspire us with their use of color in design. Lenore Crawford is an amazing artist who blends fabric and paints to create breathtaking pastoral scenes of elegant beauty. These works are so painterly, we can't believe they're made with fabric! 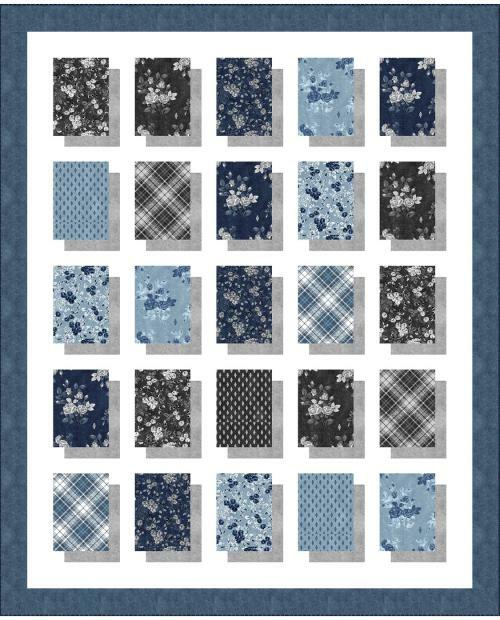 Even better: many of Lenore's designs are available as patterns. Join us as we take a virtual journey to the villages and fields of Europe, the setting for much of Lenore's award-winning work. 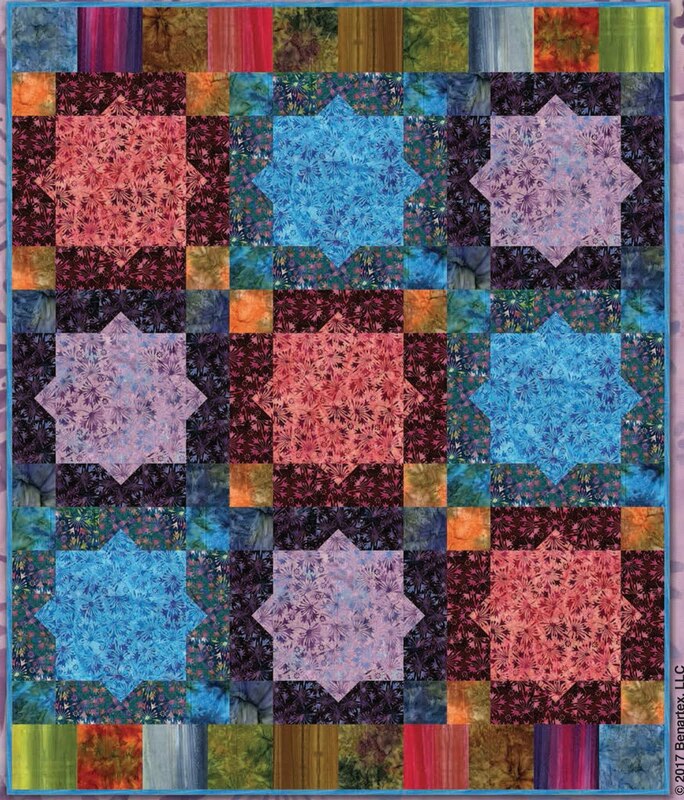 Here's a new pattern, a lovely window to the past, which is available for purchase at Lenore Crawfords's website. Since we've been talking about complementary colors, notice the beautiful green-and-red complementary color scheme in the geraniums. Lenore writes, "I have been wanting to create a pattern of architecture, especially with flower pots. 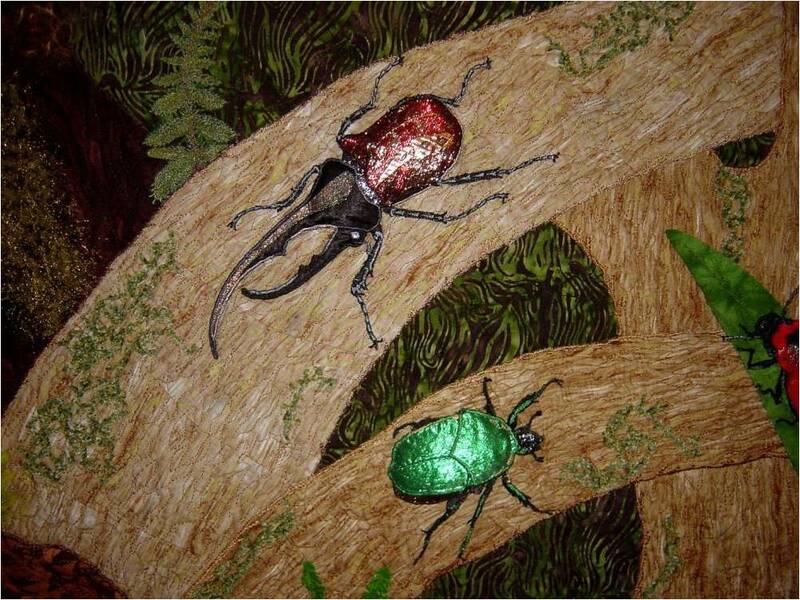 This one was created on the lime green background fabric, then the detail and shadows were added with fabric paints." 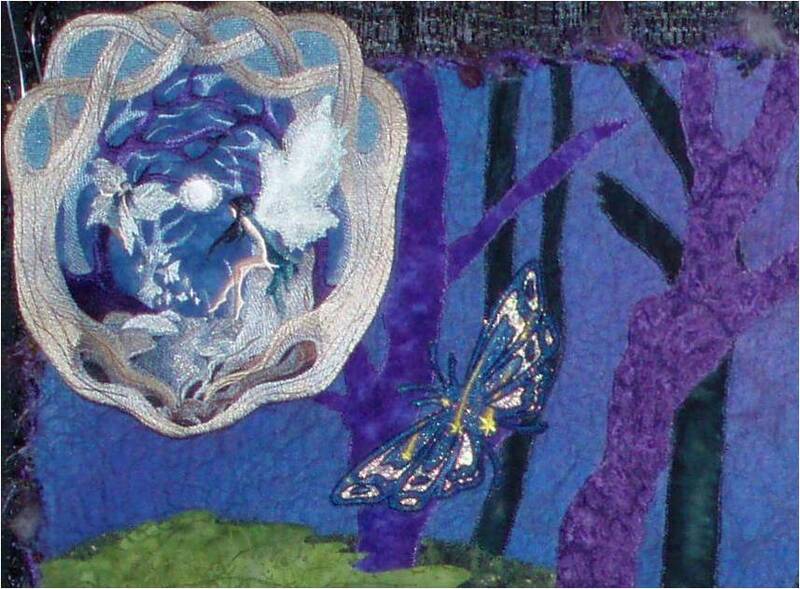 The texture in the fabric and paints gives a wonderful three dimensional quality to this art quilt. 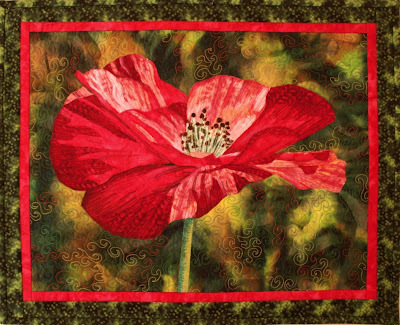 With her paints and fabrics, Lenore expertly creates texture and depth for her flowers to produce very sensory images. As viewers, we find ourselves wanting to reach out and touch this entrancing flower. 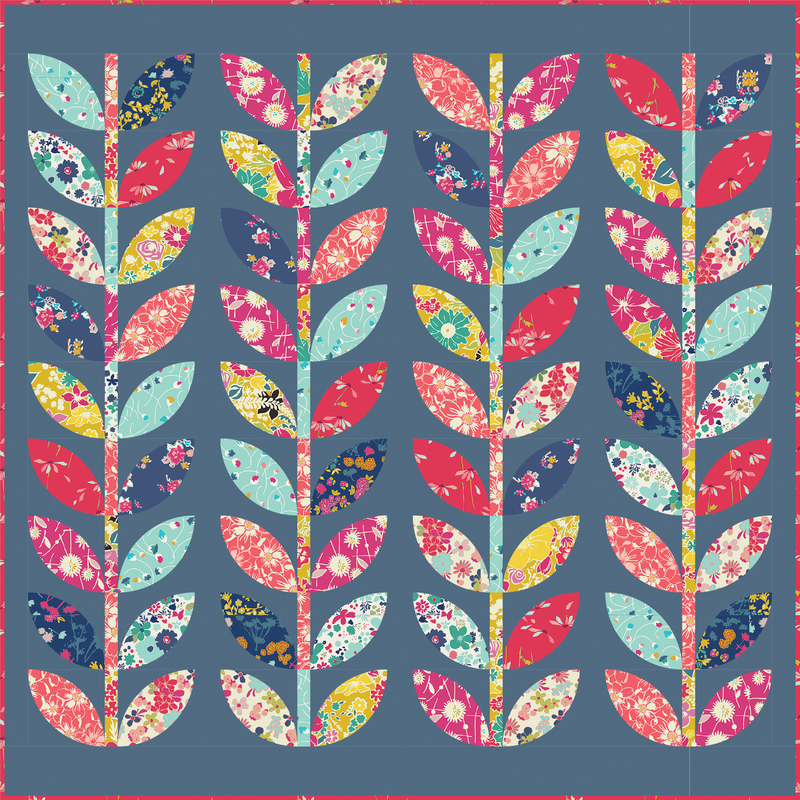 A pattern for One Poppy is available at Lenore's patterns page. "One Poppy" is a smaller version of her stunning Grand Poppy, a watercolor-style quilt which won the Viewer's Choice Award at the International Quilt Festival in Chicago in 2007. 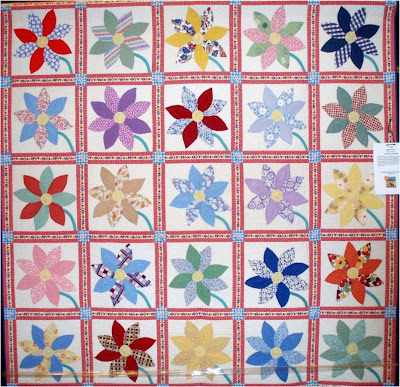 You can see Grand Poppy and many other watercolor quilts at Lenore's gallery page. 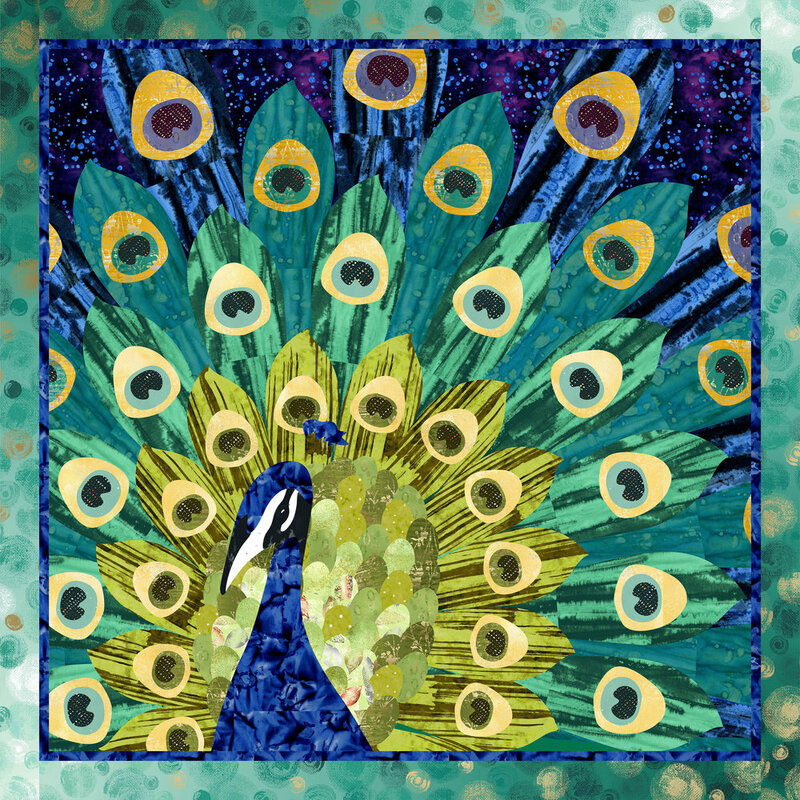 Also, Lenore sells a CD-ROM on Impressionistic Fabric Blending, which provides a detailed description on how Lenore creates fabric blended art quilts. "Port of Cassis" is one of Lenore Crawford's latest show-stoppers. It's a stunning scene of a small village on the Mediterranean, close to the famous town of Monte Carlo, Monaco. 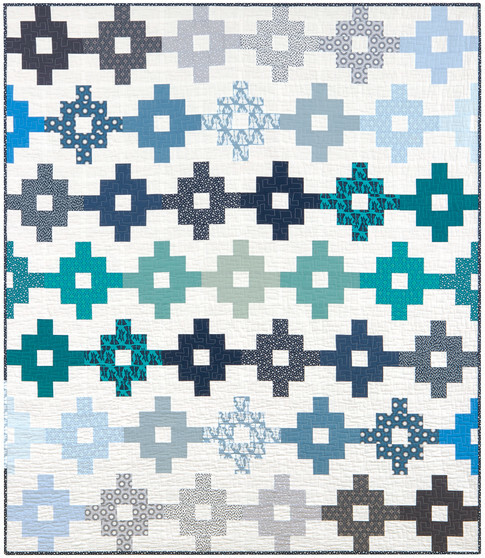 In our opinion, one of the reasons this quilt is so eye-catching is that it is a study in contrasts. The crisp strong geometric lines of the houses and boats are reflected as languid, shimmering shapes in the water, which are enhanced with quilting (click to see the detail). Also, note the very effective use of complementary colors. Rust tones and cinnamon red unite beautifully with the soft aqua blue sea tones, and the bright blue windows in the houses complement the orange buildings. This scene is so romantic and intriguing that it is easy to see why it keeps winning awards at national and international shows: in February 2011, "Port of Cassis" also won third place in the Innovative category at the Mid-Atlantic Quilt Festival XXII and in November 2010 it won second place in the Art-Pictorial category at the 2010 IQA Festival in Houston. 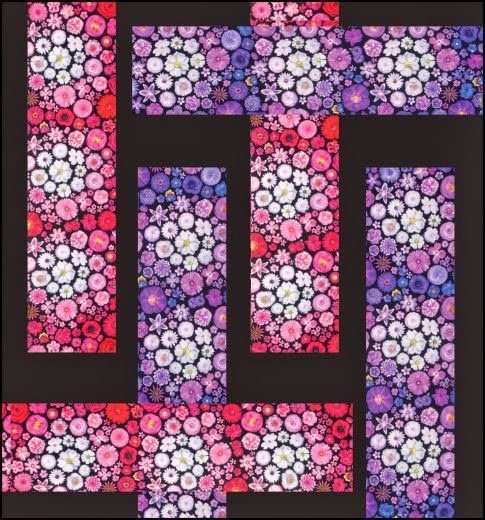 These giant flowers have texture that is so lifelike, that they almost pop right off the quilt ! They remind us of exotic orchids that emerge from lush tropical greenery.This pattern could be seen as a monochromatic color scheme for the blossoms. In places, their neutral white color has been shaded to gray. 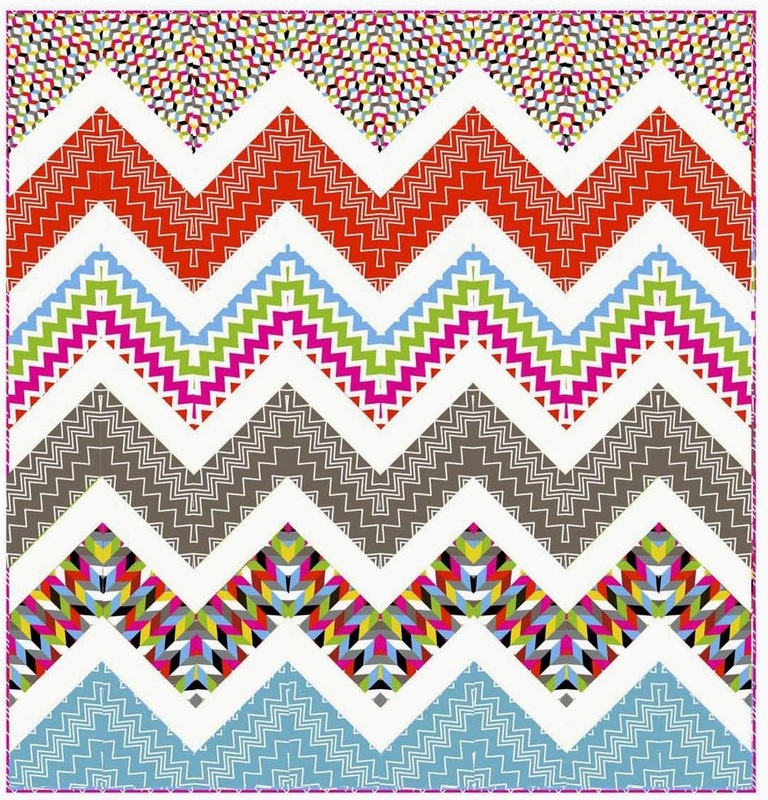 This gorgeous pattern is formal enough that it could be displayed in any room in your home, with any decor. You can purchase the pattern at Lenore's website. Also, please see Lenore Crawford's Workshops: Fusing and Fabric Painting to Create Realistic Fabric Art. Image credits: Images are shown with the generous permission of Lenore Crawford. The Color Series: complementary colors, cool tools, and hot tips ! The correct use of color is key to an aesthetically pleasing design. Experienced designers seem to choose colors intuitively. 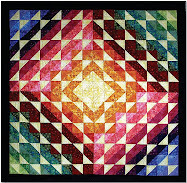 Clearly, the artists who made the beautiful quilts shown below all had a great sense of color. 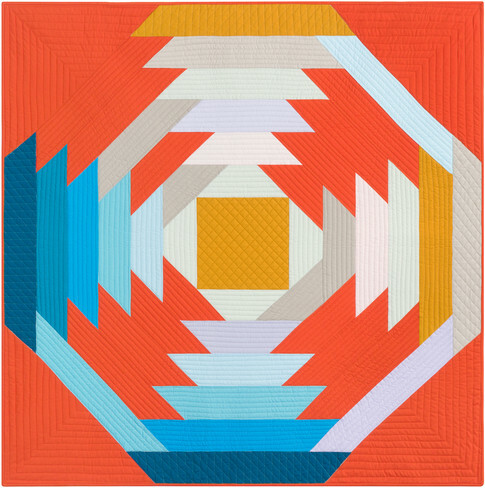 We want to apply this sense of color to our own quilts, so we're launching a mini-series on color schemes and color tools...and we've got some hot tips to share with you ! In school we were taught that there are three primary colors (yellow-blue-red) and three complementary pairs (yellow-violet, blue-orange, and red-green). Now we realize that there are many more hues in the spectrum. 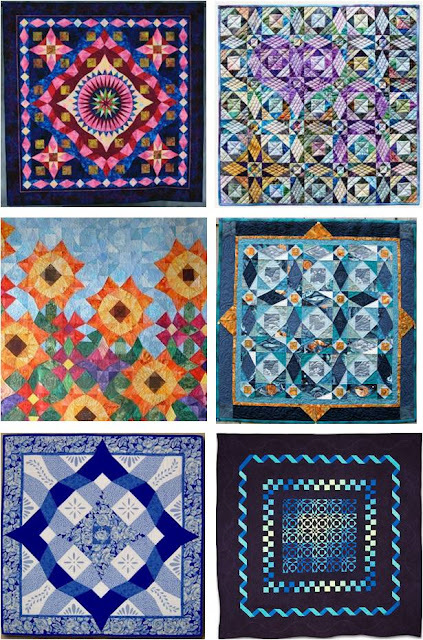 Each of the quilts shown above has a different hue of blue, from true blue to aqua, and a different complement that ranges from yellow-orange to orange-red. Color theory should make it easier to create these complementary pairs... but which tool(s) are the best ? 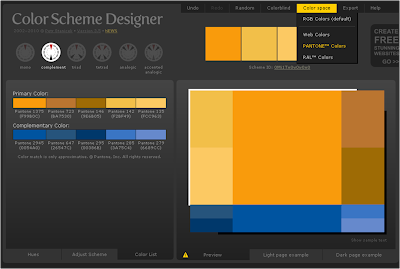 Once you have a palette, you can even view it in terms of standard Pantone colors; just click on the "color space" tab at the upper right of the screen, as shown below. By playing around with Color Scheme Designer for just a few minutes you can learn a lot about color schemes. For example, try shifting the color wheel towards red and see how the complement shifts, and try out the triadic, analogous and accented analogous schemes! 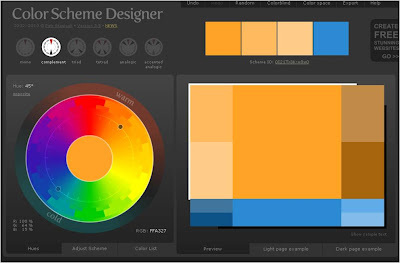 The Ultimate 3-in-1 Color Tool is based on the Ives Color Wheel, below, which is significantly different from the traditional color wheel used in Color Scheme Designer. You can take the 3-in-1 tool to the fabric store, which makes it exceptionally useful; but does the Ives color wheel really make a difference? The short answer is 'yes'. 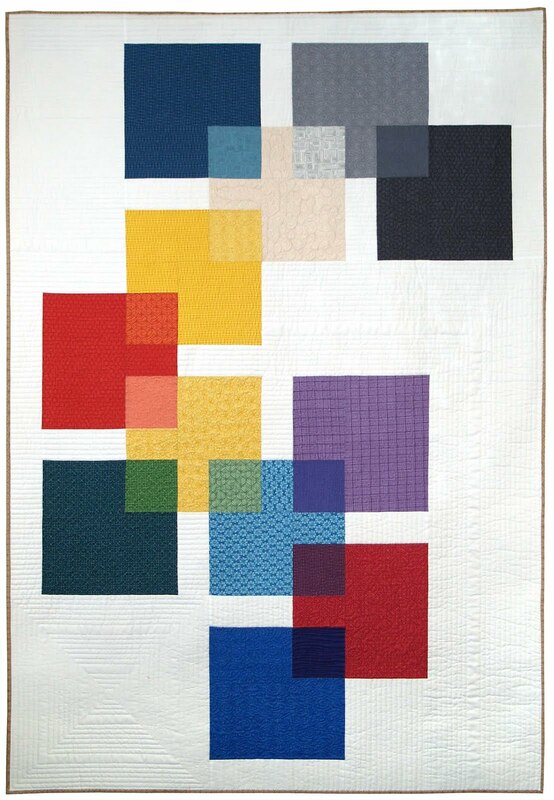 Joen Wolfrom explains*: "Most of us learned that the primary colors are yellow, red and blue. A color wheel using these three primary colors results in blends not nearly as beautiful or dynamic as the yellow-magenta-turquoise combination used in the Ives Color wheel." Also: "If you used the 24-step color wheel we grew up with, with red, yellow and blue for your complements, you're two steps off. 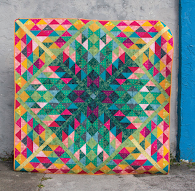 That doesn't make an ugly quilt, but you could use the right color wheel and it would be stunning rather than okay." Since "stunning" is what we're aiming for, we did an experiment: we started with a tint of aqua blue (slightly lighter than pure aqua blue) which is at about -8- on the Ives wheel. Its complement, which is directly opposite on the wheel, is orange-red (-20-) (below, left). 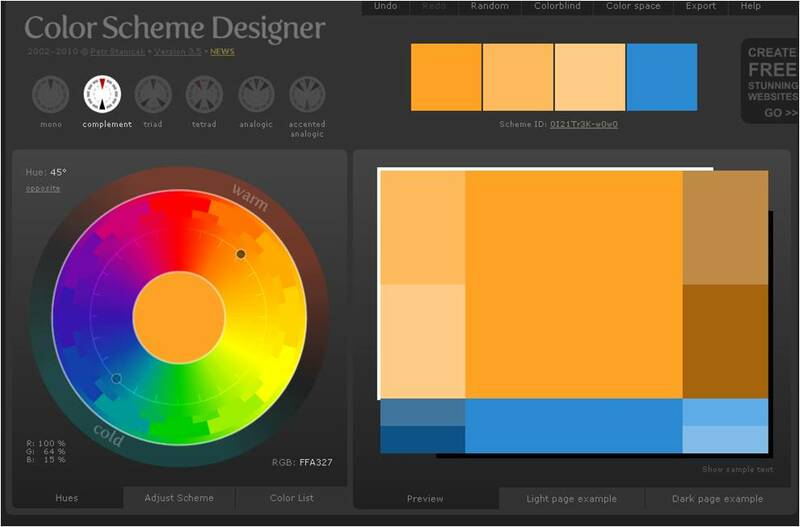 In contrast, Color Scheme Designer - which is based on a traditional color wheel - predicted an orange-yellow complement (above, right). As Joen says, the two schemes are at least two steps off. Which one do you prefer? (Leave us a comment). 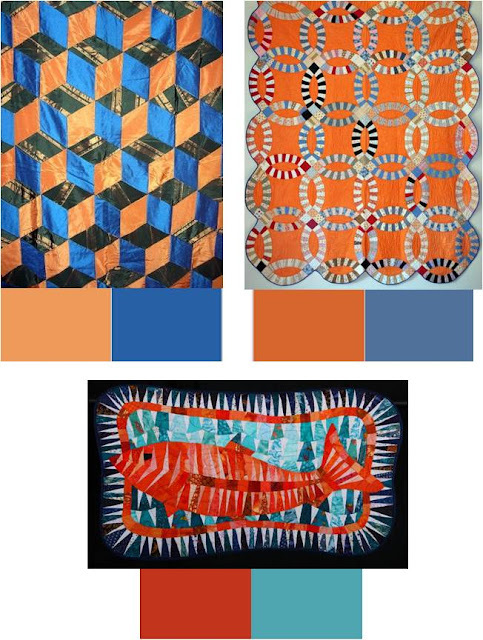 Now look again at the quilts at the top of the post: they all have complementary color schemes that match the Ives wheel, and the fish quilt uses a stunning aqua blue and orange-red color scheme that is similar to the one in our experiment. Since the Ultimate 3-in-1 Color Tool now includes HEX, CMYK and RGB formulas, you can cross-reference the Ives hues with all other sites and programs. Now that's cool (er, hot). The historic color wheel (primaries of yellow, red, and blue) was devised by a small group of artists more than a century ago who felt the need to organize their pigment colors in an understandable fashion to help them with color selection. 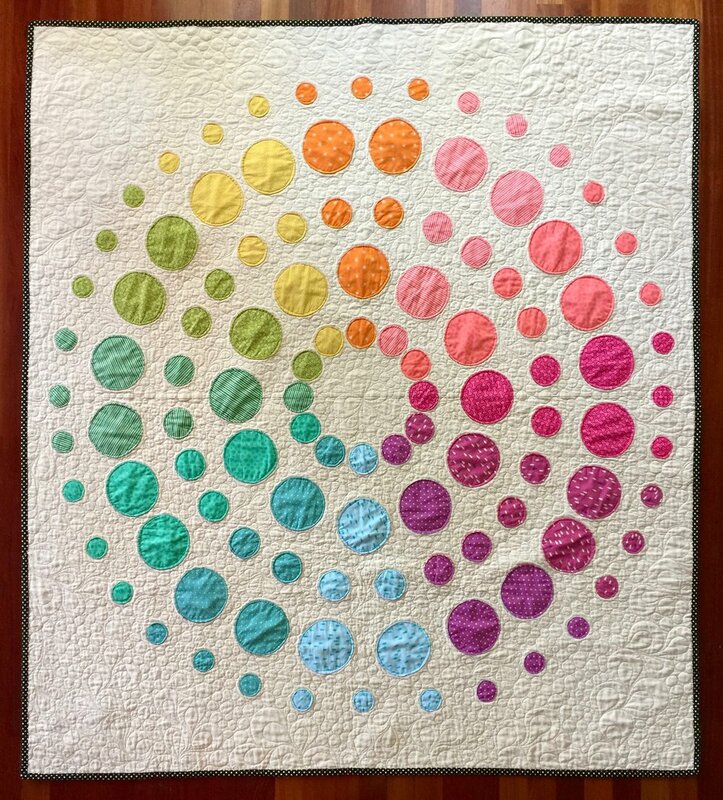 They placed blobs of color around a circle showing their available pigments. 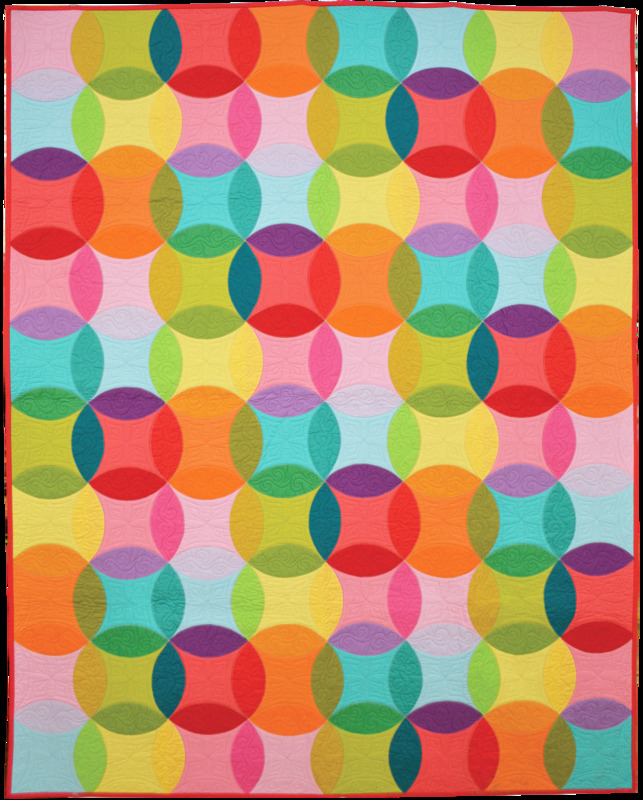 It became popular to make one’s own informal color circle to help organized color, using the various pigments on hand. Eventually a printing house printed a circle of color for artists that offered a logical, easy color reference based on this idea. 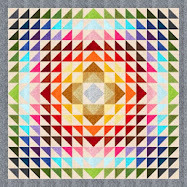 Hence, this color wheel has been our reference for decades. 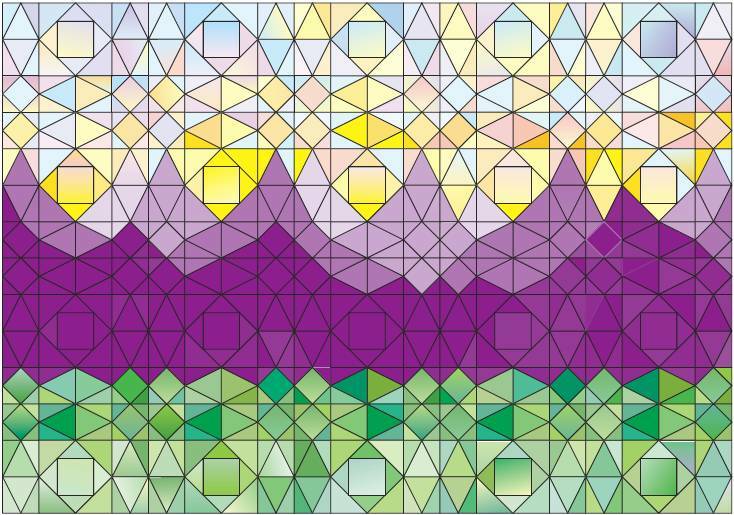 Not surprisingly, modern technology has led to new discoveries in color study. 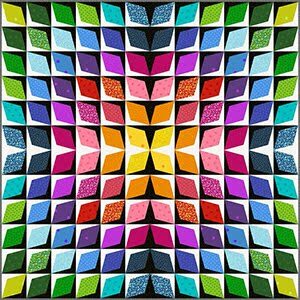 The physics of color is a vast field and we should be taking advantage of much of the information that is now available to us, due to color research. Admittedly, it is sometimes hard to say goodbye to old habits. Most of us no longer read by lantern nor cook from a wood stove, although these were the acceptable modes of attaining light and heat when the first color wheel was created. Nature hasn’t changed its way of coloring the world, but with the modern equipment available to us, the way we use color in our homes, our art, and our business can be so much more effective if we use the knowledge of today rather than the rather informal assumptions of yesteryear." Stay tuned, because we have more cool tools, hot tips and insights to share with you in upcoming posts! 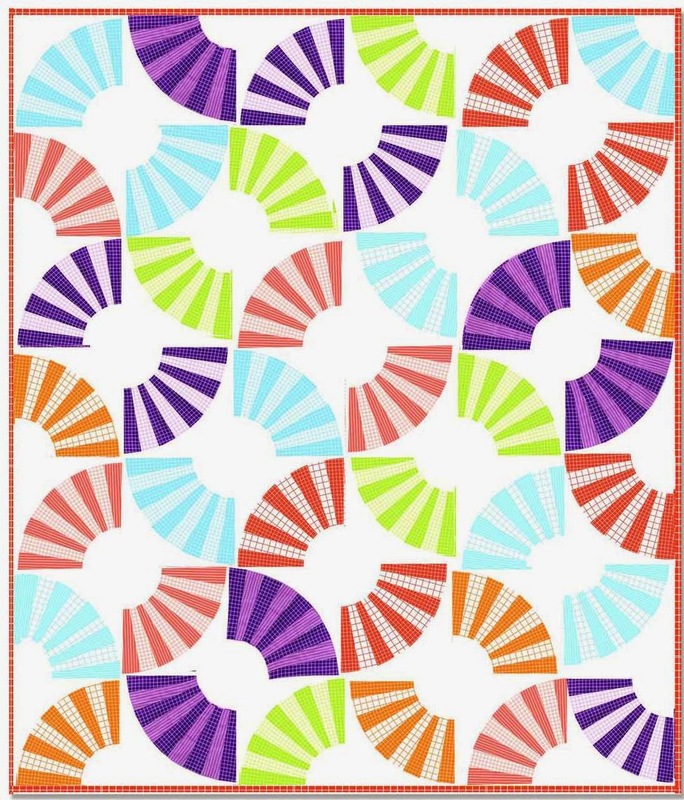 *More links: You can read about the Ives color wheel - and successful color schemes - in ColorPlay , and listen to an interview with Joen Wolfrom at Penny Halgren's How-to-Quilt site. 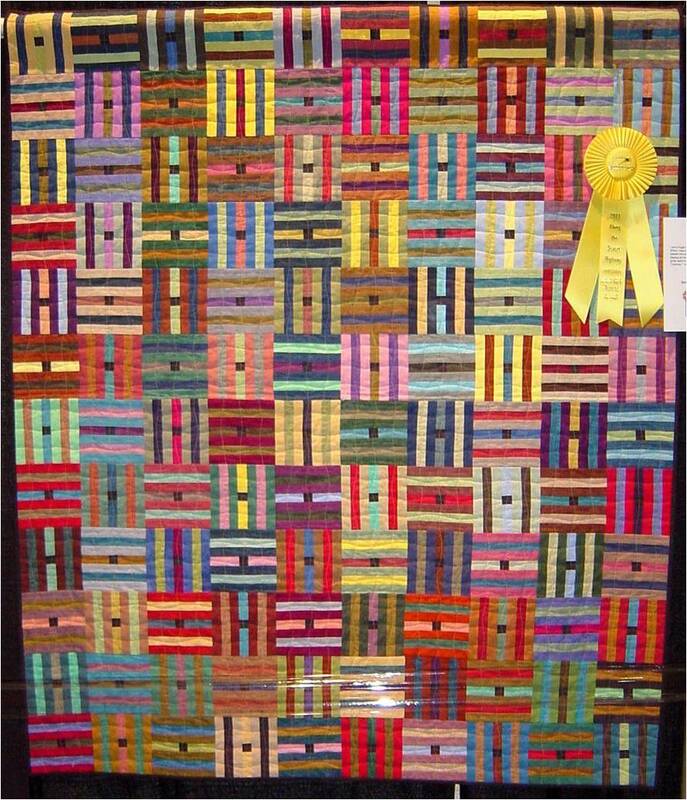 Margit Kagerer says she loves the log cabin block and all its variations, and we love everything about this piece, which won 2nd place in Miniature Quilts. 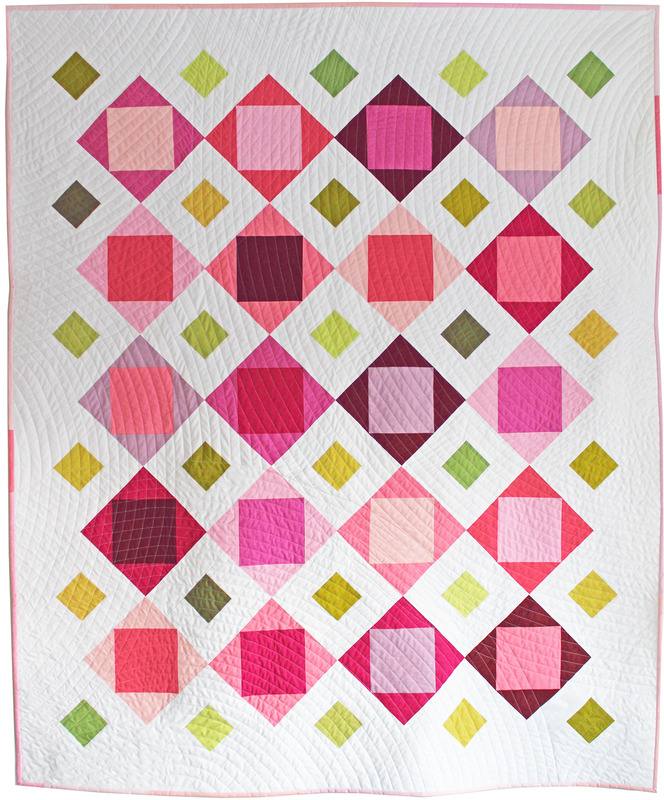 The entire quilt is only 18 inches across, and the log cabin strips were less than 1/2" wide! Margit chose the perfect light-medium-dark value fabrics to give a strong 3-D effect. 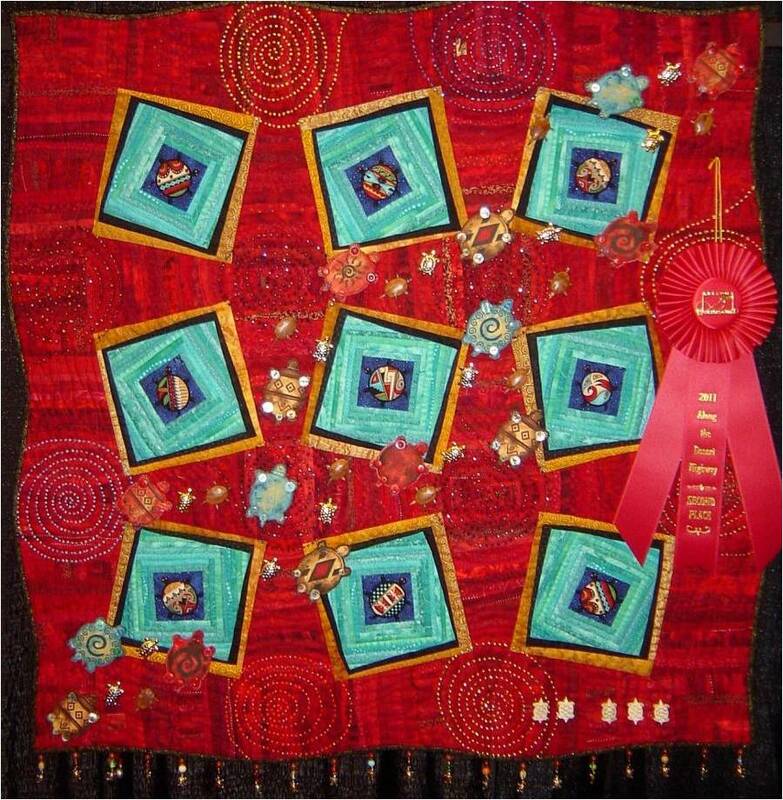 Little red centers and diamonds enliven the quilt. 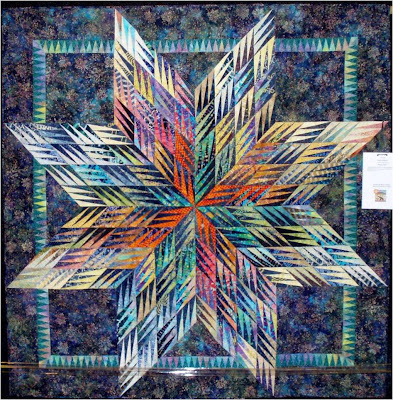 You can see more of Margit's beautiful work at the Arizona Quilters Hall of Fame Gallery, and at her website: Artrageous Fibers. 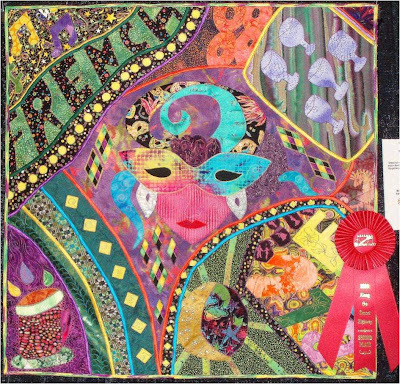 "Unleashed" is a lively fabric collage that includes a masked lady (celebrating Mardi Gras), musical notes, the Blues, and the word "French". 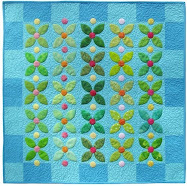 What we like about this quilt is the spontaneous, free-form design which fits the festive theme. 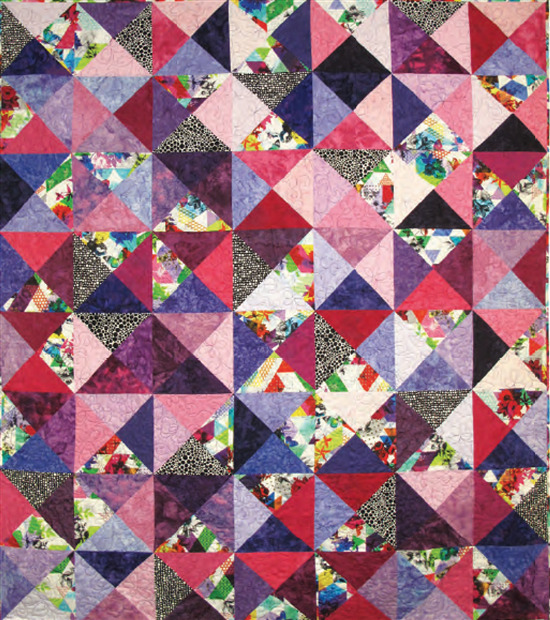 Rita Blocksom says: "The quilt represents all of the things we enjoy in New Orleans, that have been changed as a result of Hurricane Katrina". 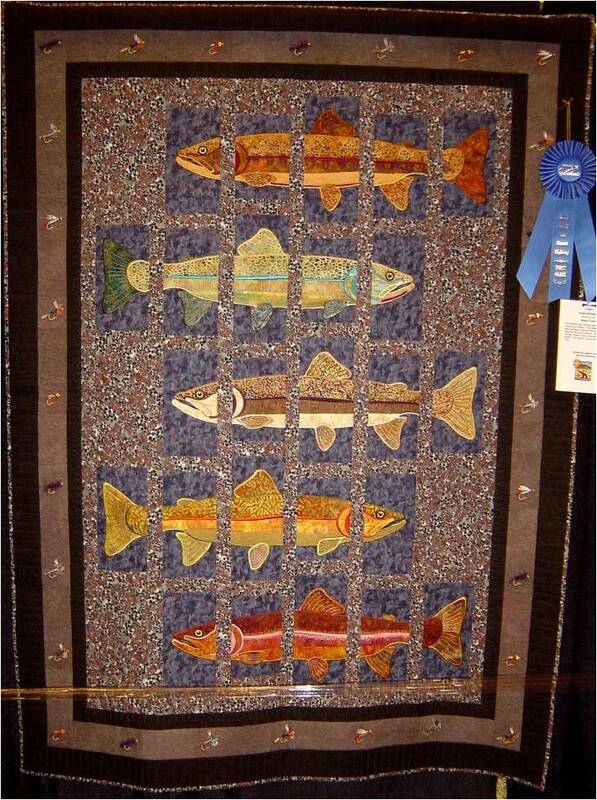 The piece won 2nd place for applique (professional-small quilt). You can see more of Rita's work at her website; and you can see her other award-winning Arizona Show quilt, called "Moab", at Rita's blog. In "Owlish Insomnia", Carol Carpenter used broderie perse and trapunto to depict owls in various states of sleep. 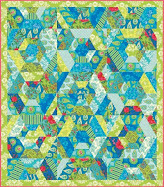 The fanciful owls appeared to be cut from a single fabric motif that looked vaguely familiar.... and we finally were able to place it: the 2009 full moon forest collection by Tula Pink. 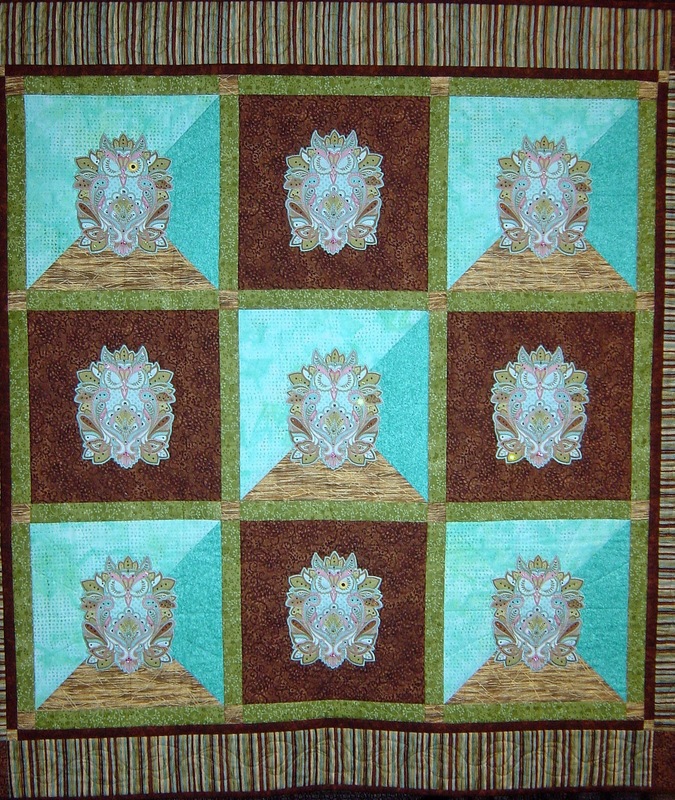 The owls were embellished with beadwork (below; click to see the detail). This is a really simple but creative use of broderie perse.... the technique has unlimited potential! 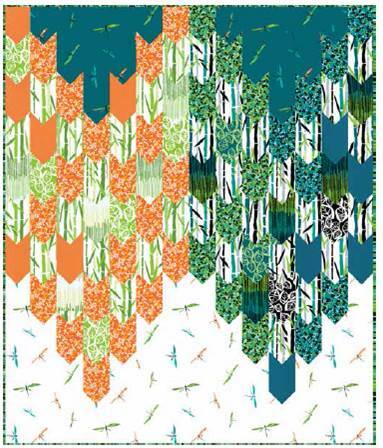 Nancy Swanson's own photo from a butterfly house inspired this original design. 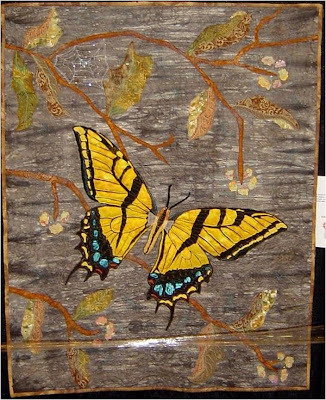 The butterfly was more than 12" wide, allowing for the detailed treatment of the wings with raw-edged applique and thread painting. The subtly textured background seems just right; it provides the textures of bark and leaves without detracting from the butterfly. 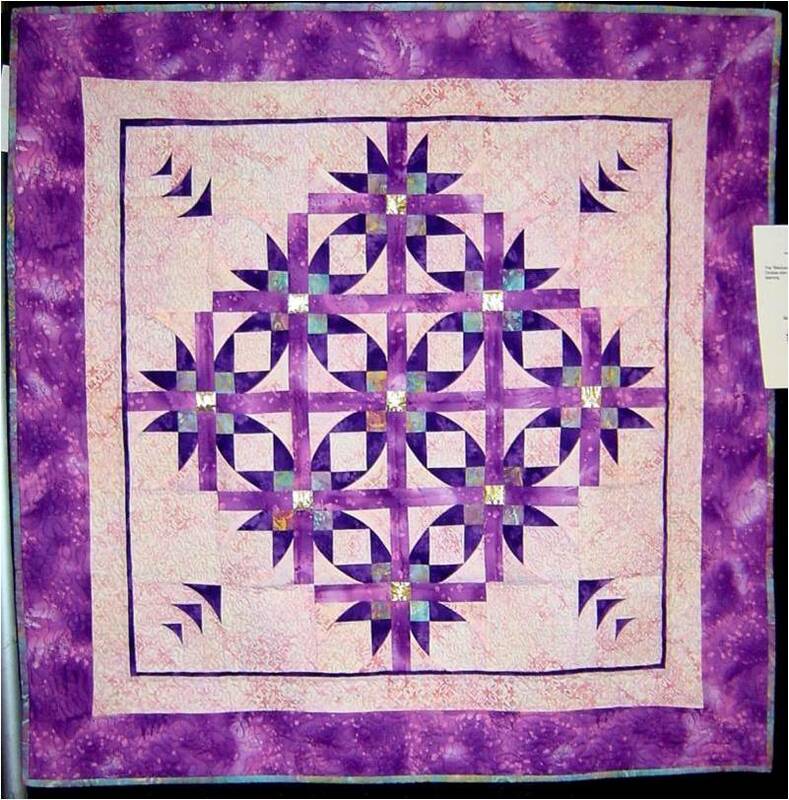 Toni Quintana's orchid-and-violet quilt really sparkles, and we loved her clever use of gold lamé for the centers of the 9-patch squares. 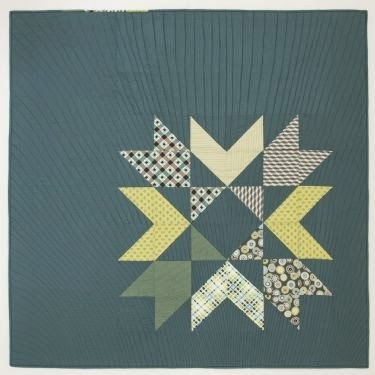 What is interesting about this quilt is the way in which the star points are slightly curved. 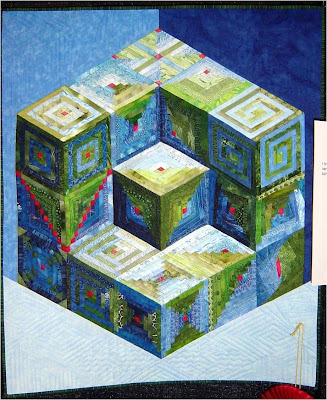 This is a dimensional piecing technique, designed by Annette Ornelas, which consists of layering and inserting folded fabric pieces into the seam line of a pieced unit or block. 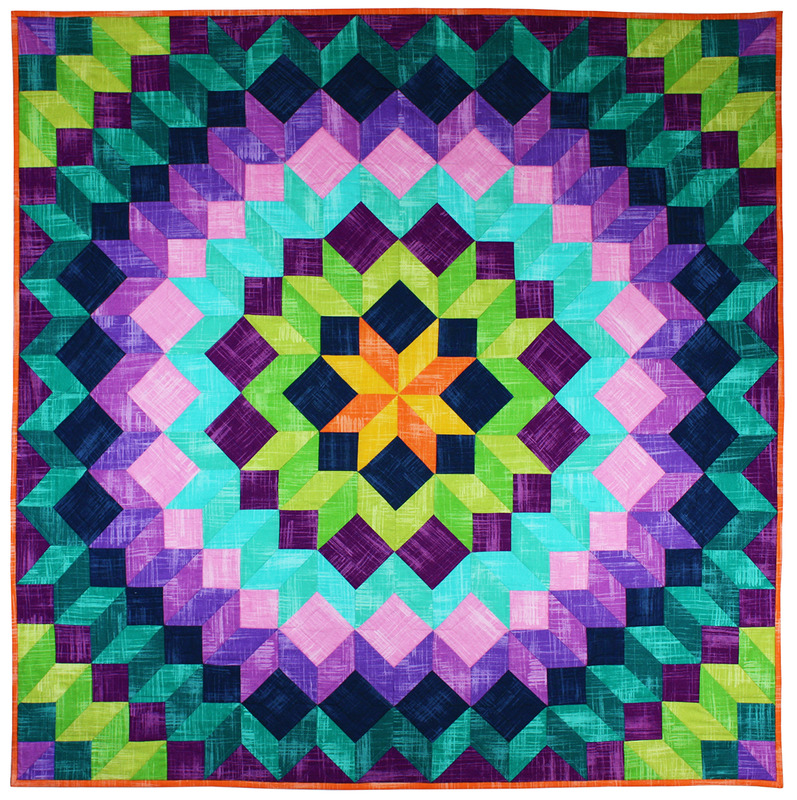 The technique is described in Peeled Back Patchwork: Curves without Piecing , and the Mexican Star pattern can be purchased at Southwind Designs. 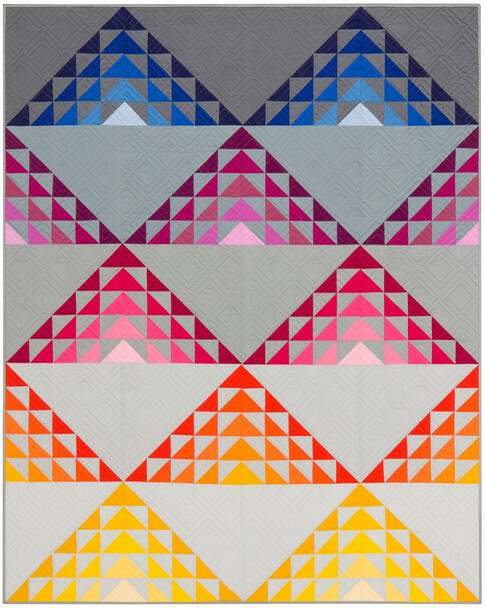 Do you think our picks from the Arizona quilt show are a little bit.... eclectic? You'd be right. We don't always gravitate to the top award-winners, and we tend towards the truly unusual. 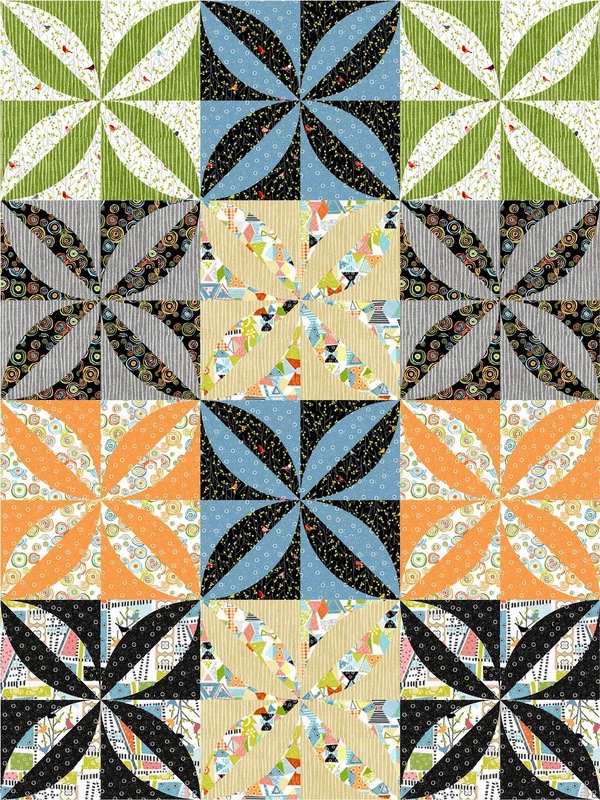 Today's quirky mix includes some wonderful art quilts, and a real, live Sunbonnet Sue ! 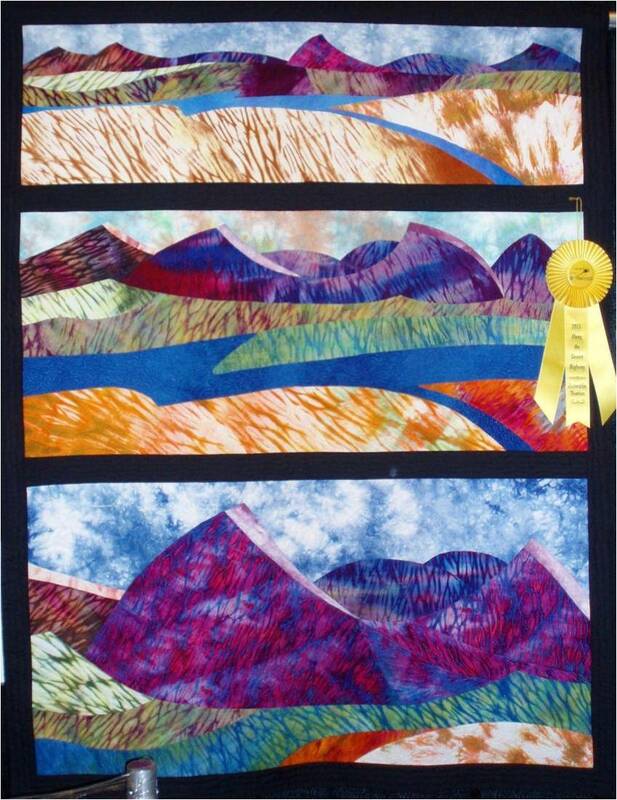 This stunning landscape quilt was a standout at the show, in our humble opinion. Luscious, shibori-textured fabrics, which were hand-dyed by Betty Hahn and Elizabeth Barton, were used to depict the view along a desert road, from distant (top panel) to close (bottom panel). 'No Rain Today' received honorable mention in the Theme category (Along the Desert Highway). 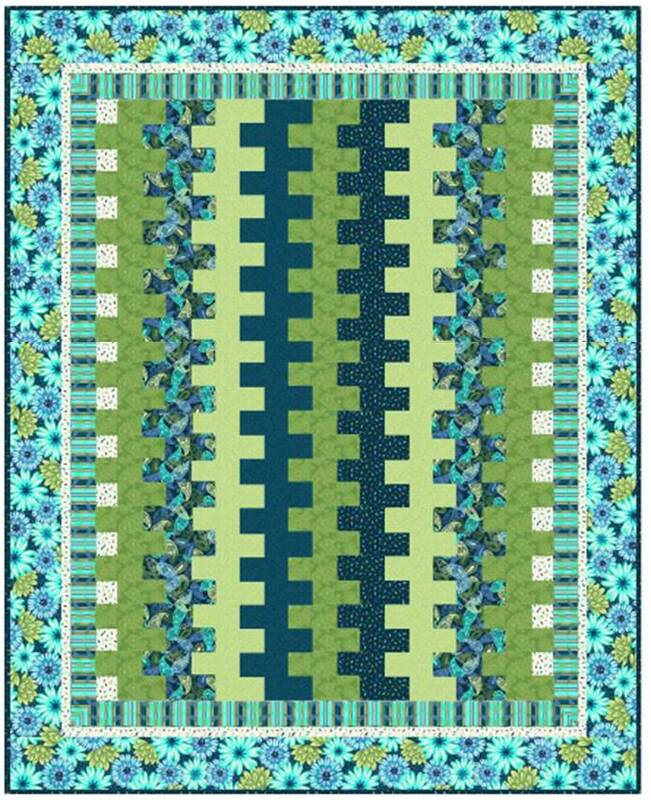 A classic New York Beauty, with a really lovely cool-and-warm scheme: just look at the border squares to see how well the fabrics complement each other. 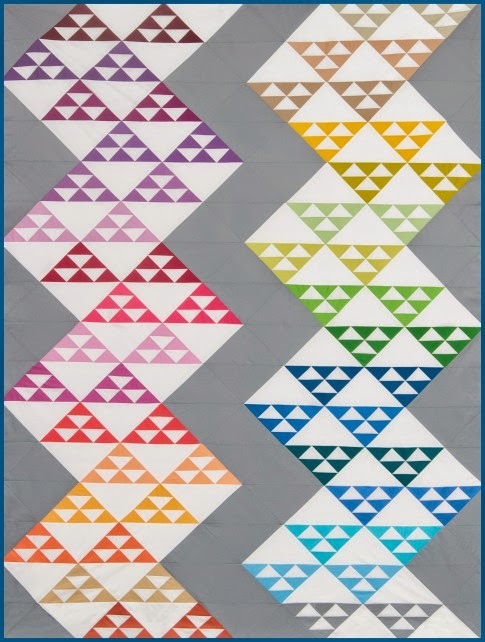 This is a Judy Niemeyer paper-pieced pattern. 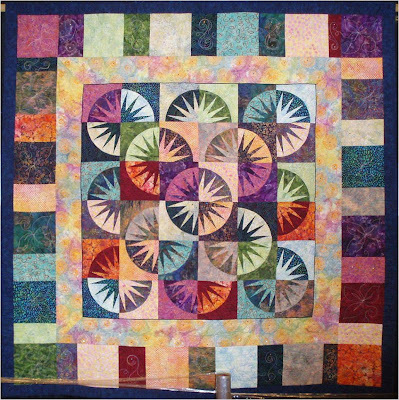 It was quilted it on a domestic machine; click to see the quilting detail in the border squares. A real Sunbonnet Sue! 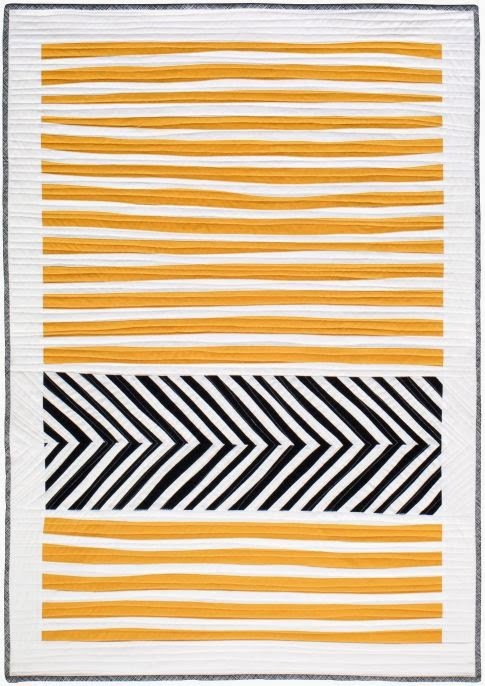 As famous as 'Sue' is, we rarely see these quilts (except in museum collections !) 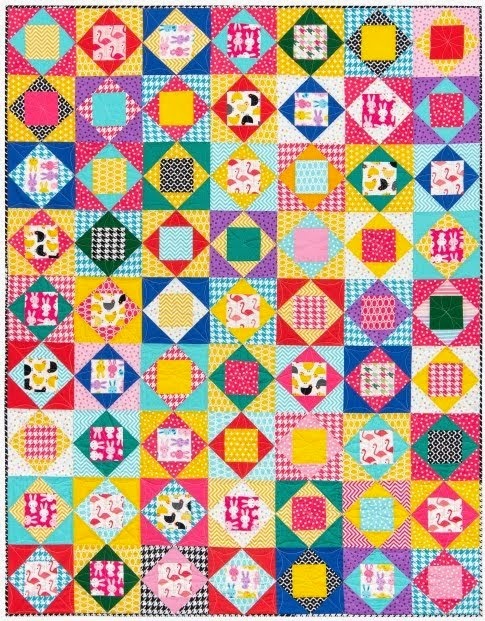 Felicia Brenoe says that she wanted to create a little girl’s quilt using the colors of 1930’s reproduction fabrics, including the sunny yellow sashing and border. 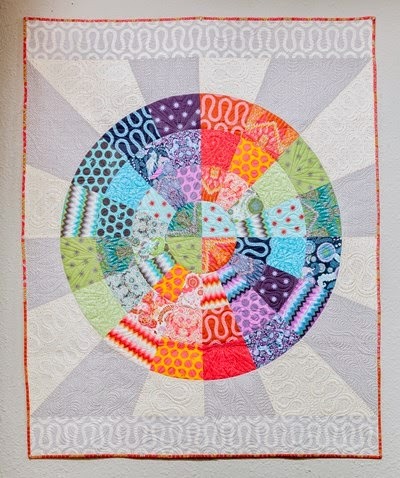 In a clever touch, the inner white border is decorated with appliqued yo-yo's. Honorable mention, first-time entrant. 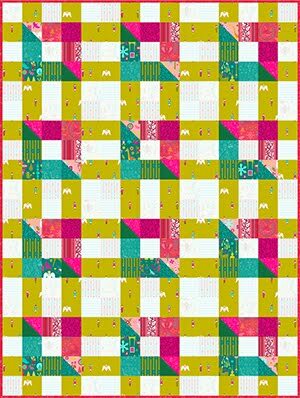 (You can download templates for a slightly different Sunbonnet Sue, and Overall Bill, by Marti Mitchell). About 15 species either breed in Arizona or migrate through in the spring and fall. 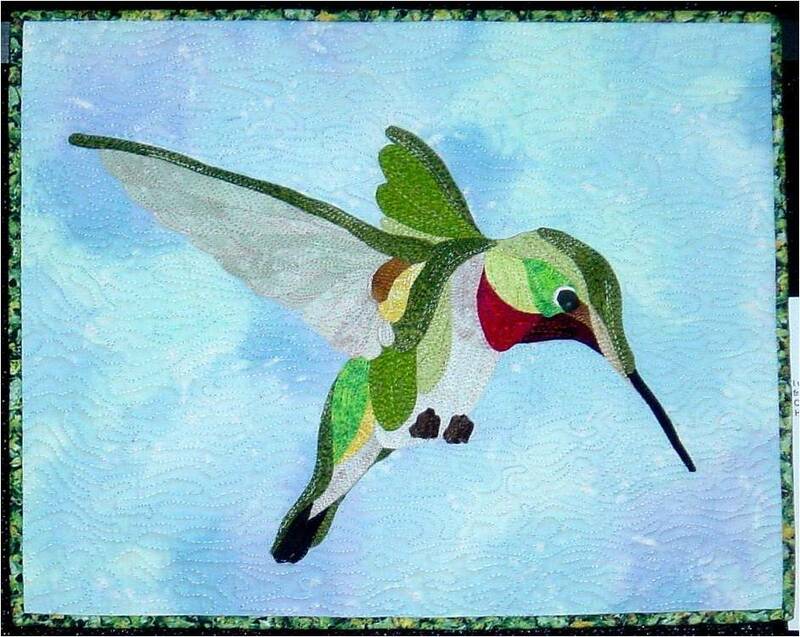 Hummingbirds are the smallest birds in the world, but this hovering hummingbird is nearly 18 inches across ! 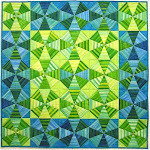 Barbara Nicholson made the quilt in an "awesome" class given by David Taylor last summer at Quilt Camp in the Pines. 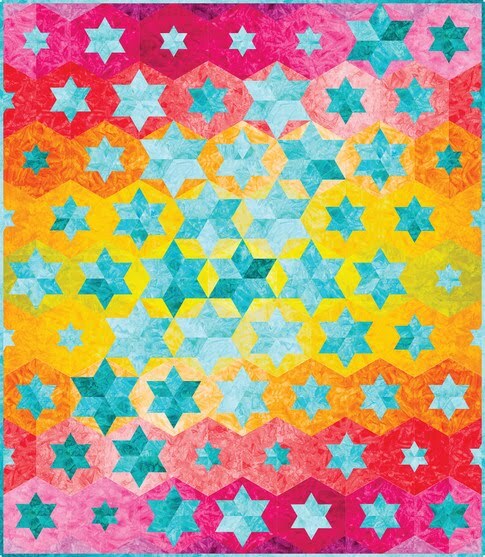 The pattern can be seen at David Taylor Quilts. 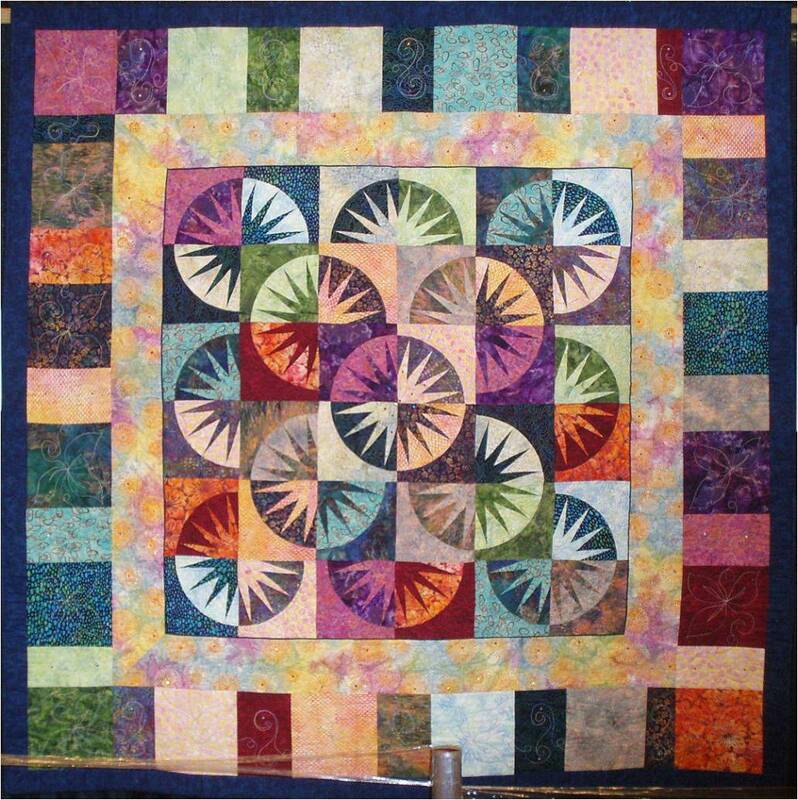 Hand appliqued, machine quilted. ‘Log Jams’ is a twist on a log cabin. 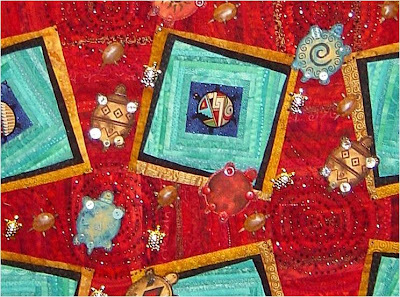 Karen Fisher paper-pieced the lop-sided turtle and turquoise squares, then continued with lots of red fabrics to frame them. If you look closely you can see that the turquoise log cabins were first pieced on the straight, and then sliced off at angles to make the wonky squares. The quilt, which won 2nd place in the Masters Division, was heavily embellished with beading, buttons and turtle charms (below). 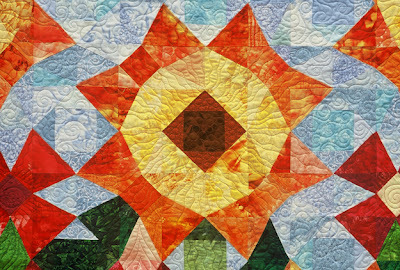 Patsy Kittredge was inspired to make this quilt based on a late summer visit to the beaches of California with her teenage daughter and friends. She captured them as they relaxed on the sand after playing in the surf. Notice the careful placement of shadows on the sun-washed beach, which increases the sense of realism in this quilt. For the shore break, Patsy used a piece of what appears to be silvery mylar, which added extra sparkle. 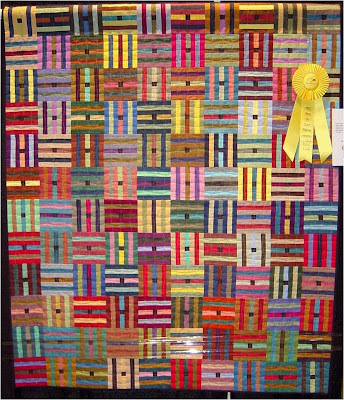 She received a yellow ribbon, for Honorable mention in the pictorial quilts category. 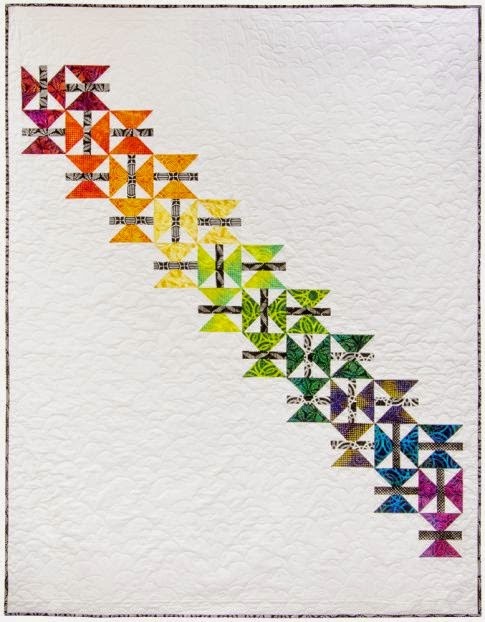 Carol Caplan says that she created this quilt, based on a pattern by Karen K. Stone, out of bali batiks that she has collected for many years We're always so happy to see quilts with beautiful symmetry and precise piecing like this. 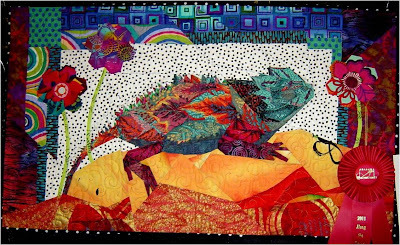 Sometimes it's challenging to create enough contrast when using batiks, but Carol overcame that by using a deep colored background fabric, which allowed the light-valued balis to really "pop" into the foreground. 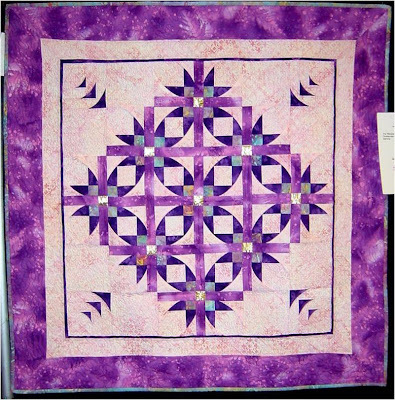 Angie says, "My husband gave me the inspiration for this original quilt design. 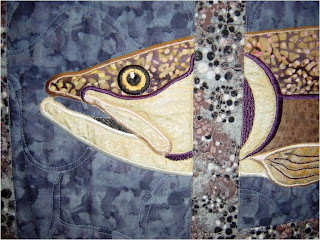 Five different trout were appliqued using an embroidery machine from top to bottom." Angie did a superb job, and this quilt was the first place winner in the machine embroidery category. 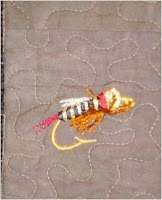 Above, here is a close-up of the dry flies which were embroidered in the quilt border. In fly fishing, an artificial fly is constructed by hand to closely resemble a real insect. 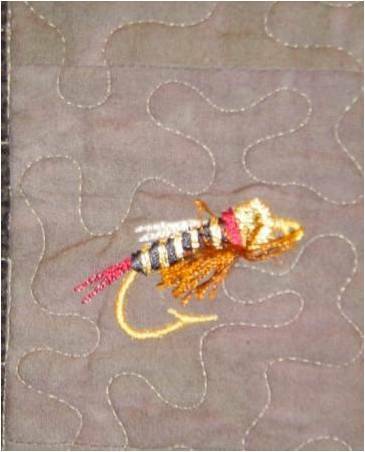 Angie has done very careful work to re-create this life-like fly, even to the extent of embroidering the fish hook. 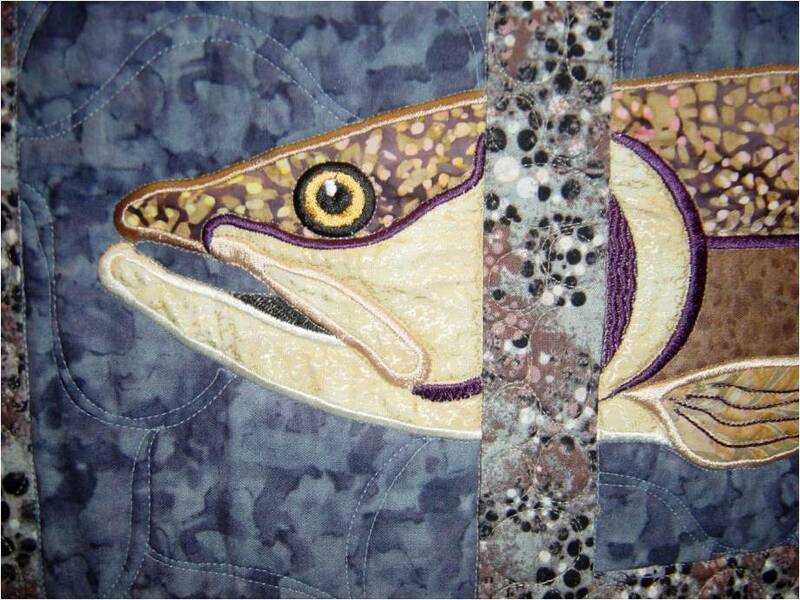 Angie found wonderful fabric to realistically portray the water, the riverbed, and the scales of the trout. Even the small eye of the fish is perfectly rendered with beautiful workmanship. 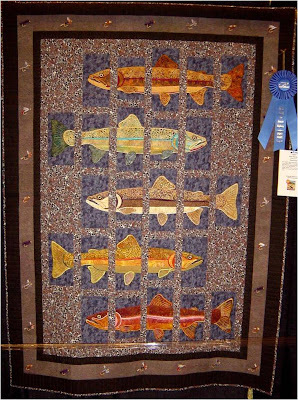 The pattern for About Trout can be obtained at Angie Steveson's Lunch Box Quilts. Carol and her group came up with an interesting way to depict St. Basil's Cathedral in Moscow, Russia. She writes, " After being handed a portion of a photograph, my friends embroidered each individual turret. I hand-appliqued their work back together and added the domes." The domes were constructed with a trapunto technique. 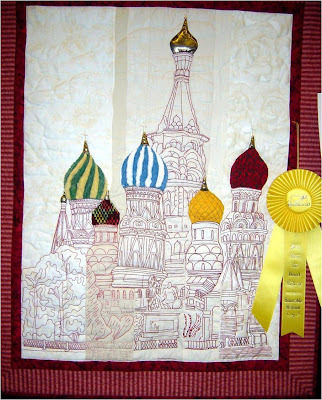 "To Russia With Love" won the Honorable Mention for Group Quilt. This stunning rainbow quilt won first place in the pieced (non-professional, large) category as well as the special award for exemplary machine quilting. 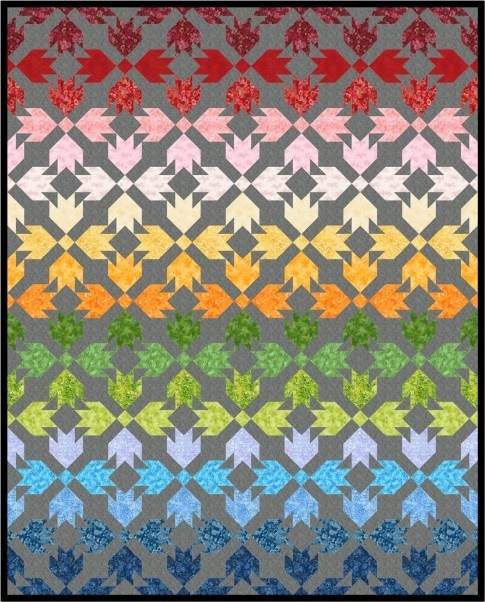 The pattern was designed by Liz Schwartz and Stephen Seifert; it originally appeared in Quilts with Style as a design called Armenian Tiles. We think this looks like the very pretty traditional Amish card trick pattern. What do you think? We'd love to read your comments below. Join us as we travel "Along the Desert Highway" for some more of our favorite quilts at the Arizona Quilters' Guild Show in Mesa, AZ from March 9-11, 2011. Winner of the second place award in the Scrap Quilt category, this work really caught our eye because of the perfectly coordinated rainbow colors. 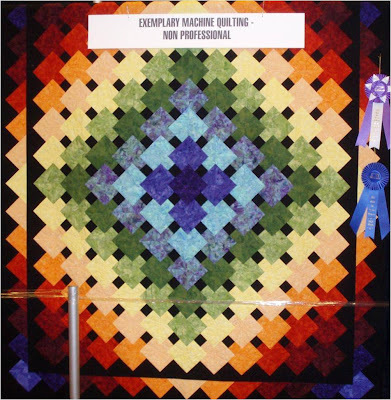 Quilter Rita Vautrin used almost 200 different fabrics to construct the quilt. 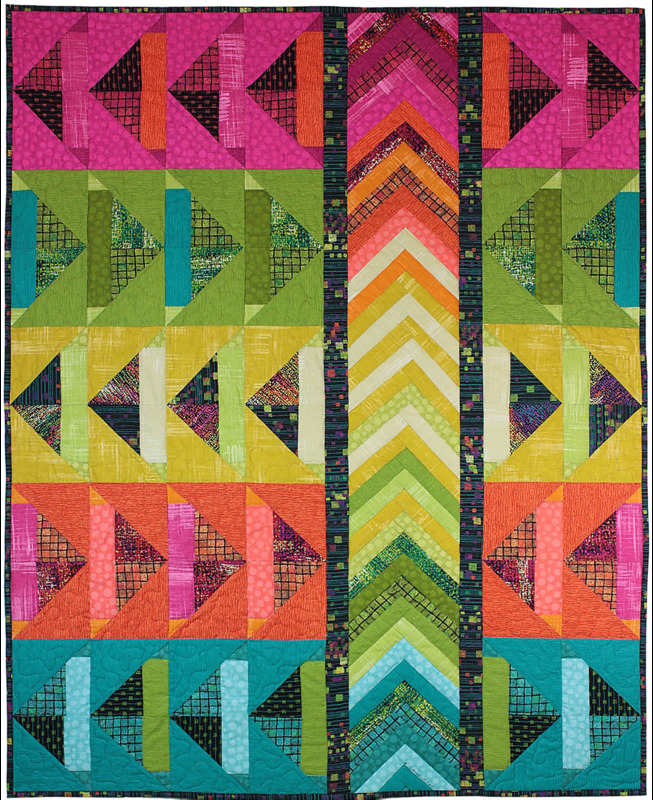 Notice how the vivid paper-pieced border perfectly compliments the solid black background and serves as a great showcase for the Bali fabrics. 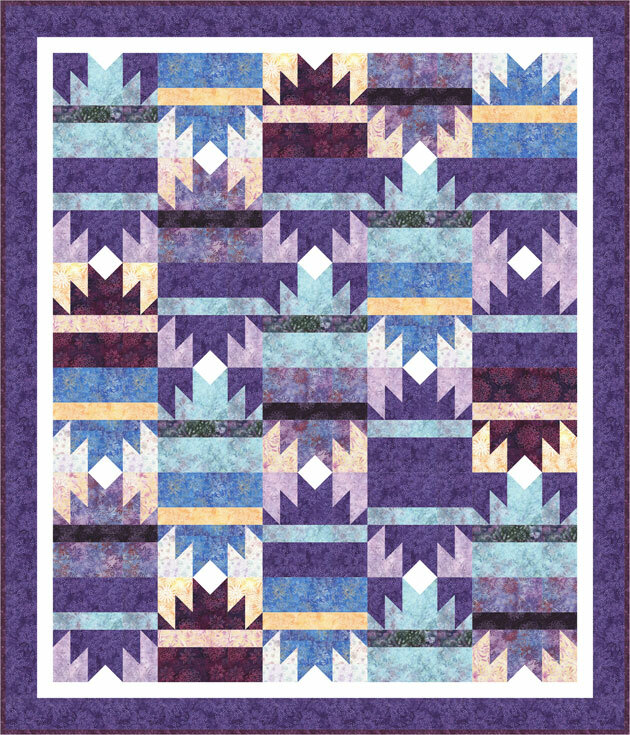 The border is from 'Crystals' by Mark Lipinski as published in Quilters Home, January 2008. 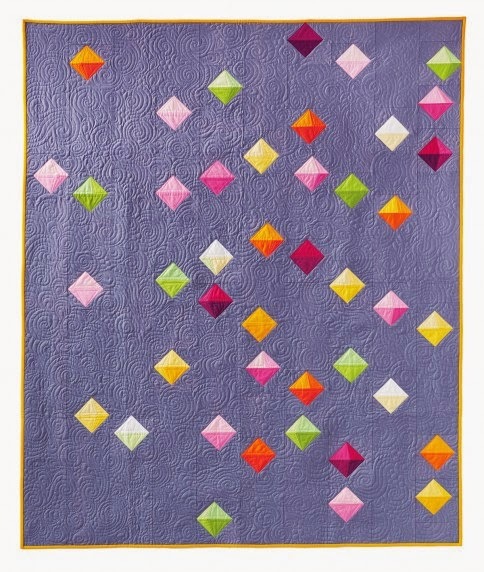 Jacqueline de Jonge’s pattern, Stars in the Night, makes a perfect center for this cheerful quilt. 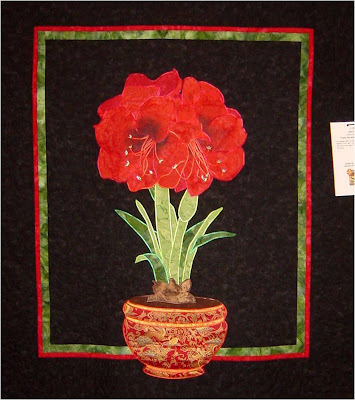 Jean Estes says she is pleased with her second attempt to get the bursting-with-life scarlet flower to look right (hence the quilt name, 'Finally the amaryllis blooms' !) We particularly liked the red-and-gold Asian fabric which makes the amaryllis pot look so real. 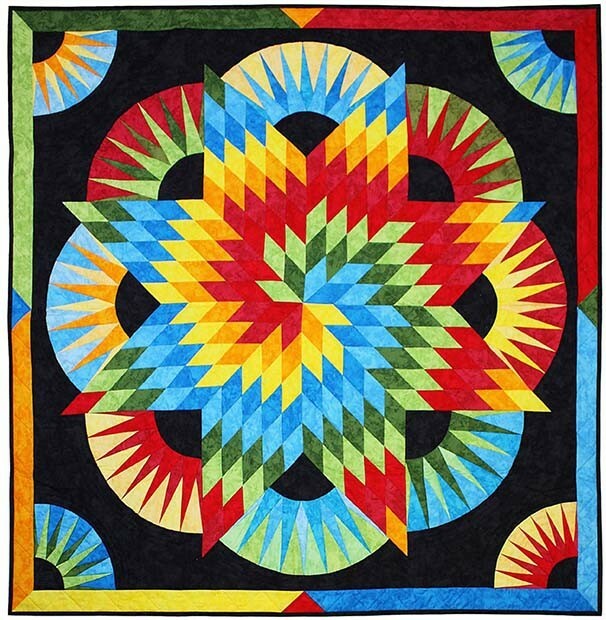 The quilt pattern is by Lennie Honcoop at Dutch Quilter. 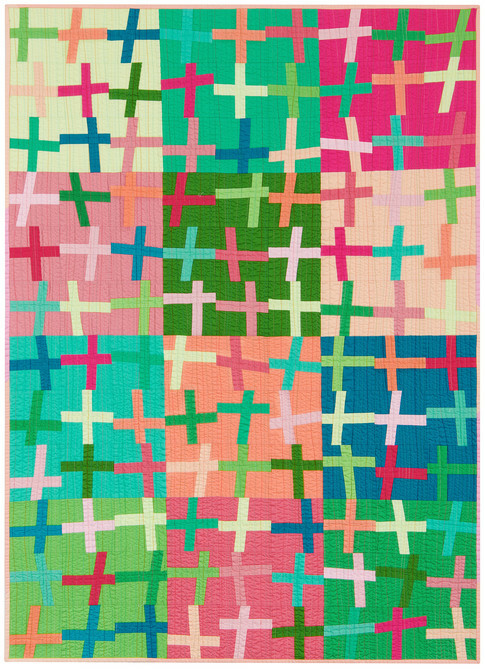 We've always loved the Burgoyne Surrounded pattern, with its tiny squares. 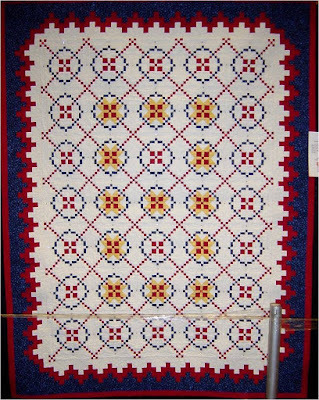 Mae Adkin's red, white and blue quilt was designed for the 2009 National Quilt Museum contest in Paducah, Kentucky. Chosen as one of the 18 finalists, "Thirteen Colonies" was tour for 18 months. 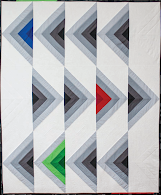 This quilt is featured in the AQS book, Burgoyne Surrounded: New Quilts from an Old Favorite . 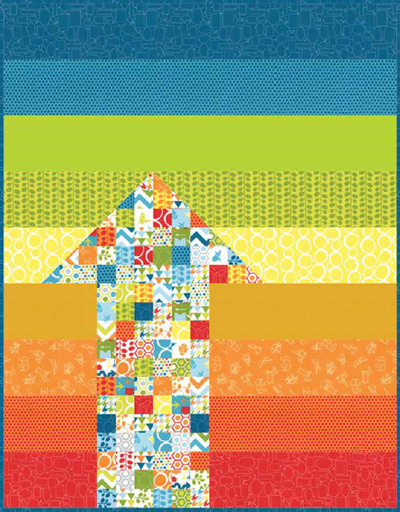 Which reminds us: the latest New Quilts from an Old Favorite contest has been announced (basket quilts !) with an entry deadline of November 2011. 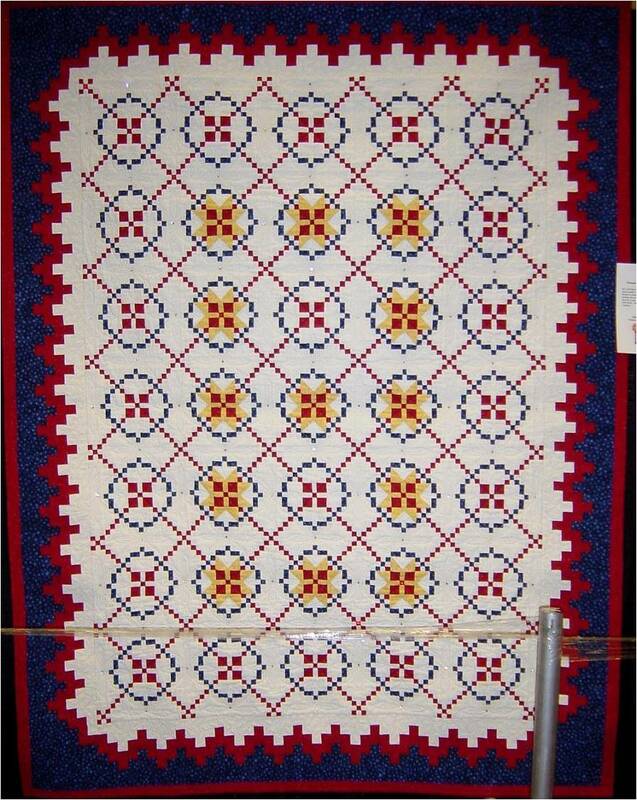 Are you wondering about the large red and blue ribbon with the gold center which hangs at the left hand side of this quilt? 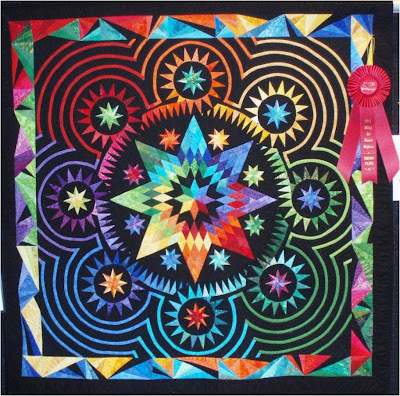 It's the Arizona Quilters Hall of Fame award, which was presented to "Long Grove", a quilt deemed worthy of special recognition. The recipient is included in the Friends of the Arizona Quilters hall of Fame for the current year, and is featured on the Arizona Quilters Hall of Fame website. 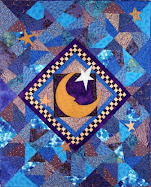 Quiltmaker Georgia Thorne will also be invited to display the quilt at the 2011 Hall of Fame Induction Event, Sunday, September 25, 2011, in Prescott, Arizona. 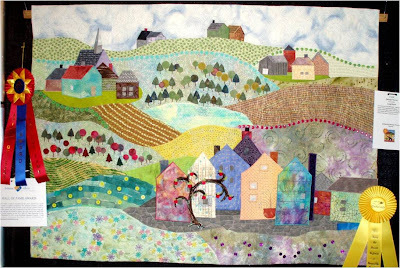 It's difficult to see in the photo, but in the detail just above, these houses actually stand out about two inches from the quilt. They are stabilized with either stiff interfacing or perhaps thin plexiglass, so that they don't lose their shape. Georgia Thorne says: "Growing up in the Midwest, I was influenced by the many layered landscapes." She used various techniques and textures to portray the fields, rolling hills, and the small town of Long Grove, Illinois. Arleen Logan says that this fantasy art quilt began with embroidered fairies and moths (you can see the tiny fairy, below). The iridescent bugs were incredibly lifelike, and about 2 inches across; they were made using water soluble fabric and tulle, then appliqued on branches and leaves. . 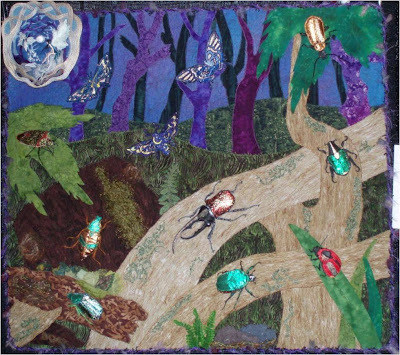 The quilter did a wonderful job of setting the mood of a magical night by juxtaposing the ephemeral fairy and sparkling butterfly with the creepy-crawlies shown below. 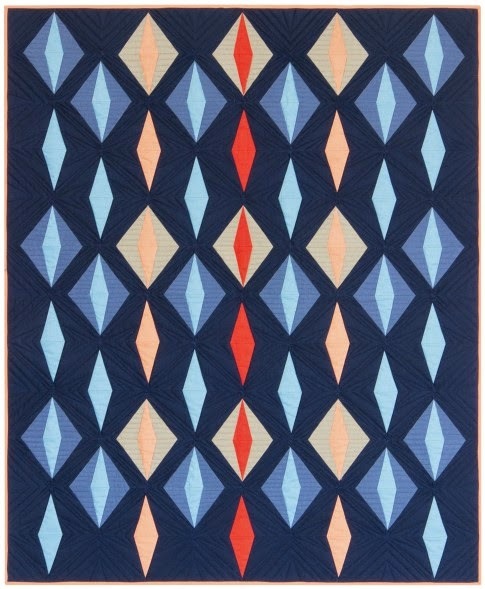 This quilt shows a wonderful sense of movement, where the forest comes alive after sundown. "Along the Desert Highway" was the theme for the 2011 Arizona Quilters Guild annual show, held from March 9-11. 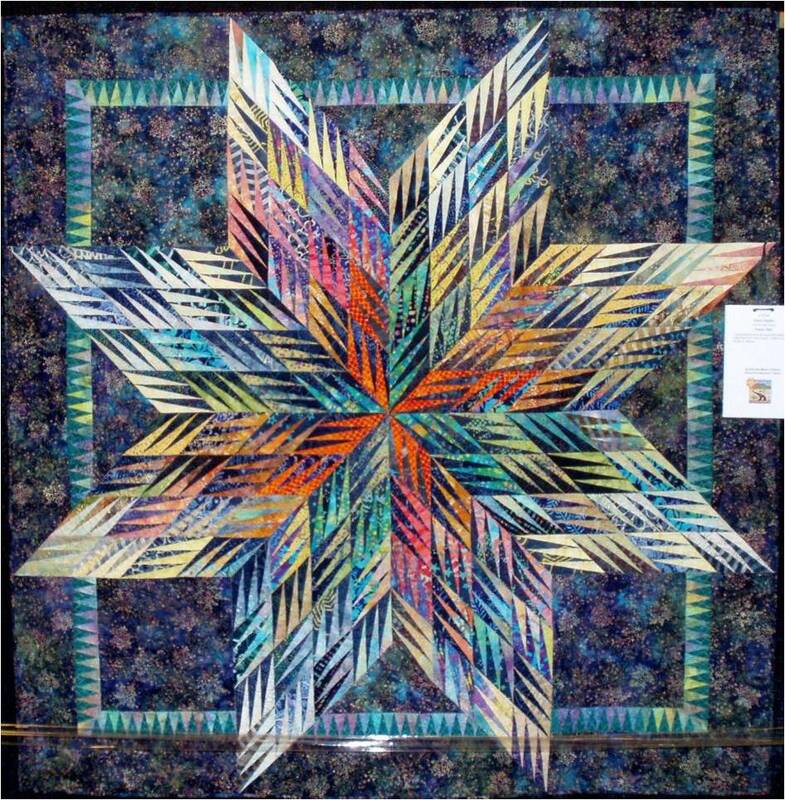 True to the theme, quilt fans traveled the highways from at least 17 different states and 3 Canadian provinces to attend, and there were 403 quilts on display. Here are some quilts in our five part series (both prize winners and non-prize winners) which really captured our eye. 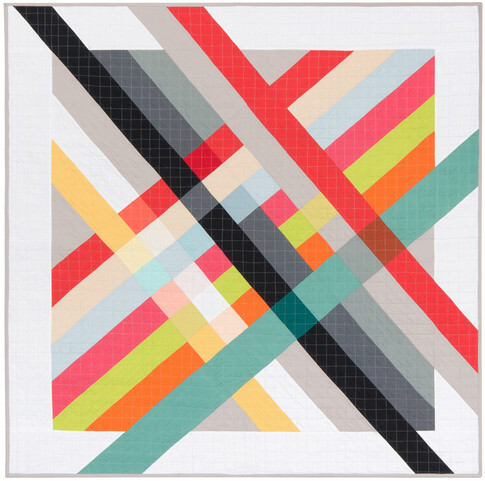 Now you can be the judge and tell us which quilts most appeal to you ! This small quilt won second prize in the art/innovative category. Judith says: “This horned toad used to sunbathe in our strawberry beds. He seems equally at home in ‘Grandmother’s Flower Garden’".She's referring to the hexagonal flowers appliqued at either side of the picture In addition, if you click on the image, you can see the leaf-patterned fabric on the lizard's back, which helps replicate the look of his scaly skin. 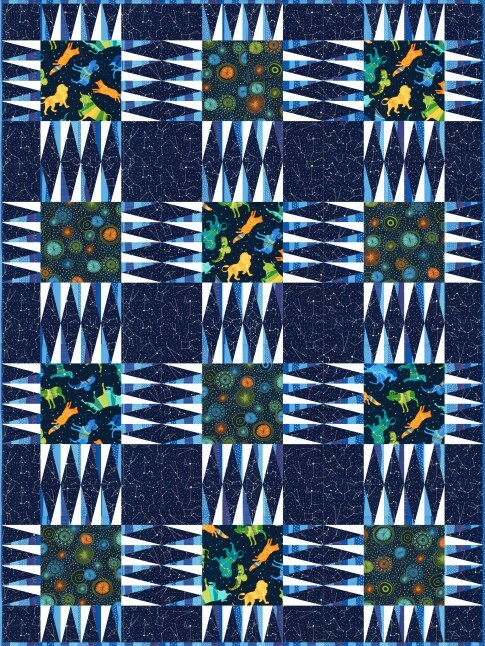 We love the wide variety of fabric patterns used here, which gives depth and complexity to this unique and original creation. 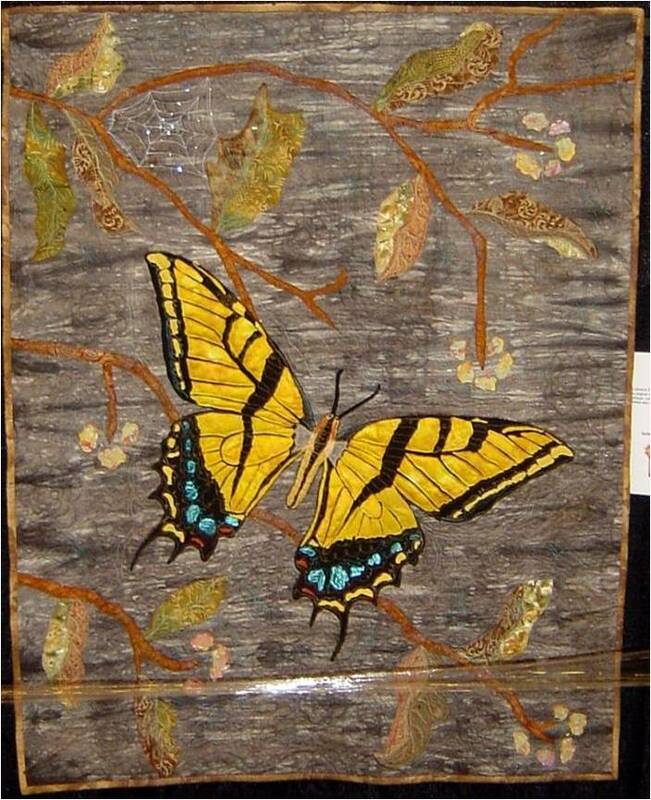 Here's a vintage quilt from Pinetop Arizona, maker unknown. It's backed with muslin and appliqued retro-colored flowers, with red and white checkered sashing and blue cornerstones. 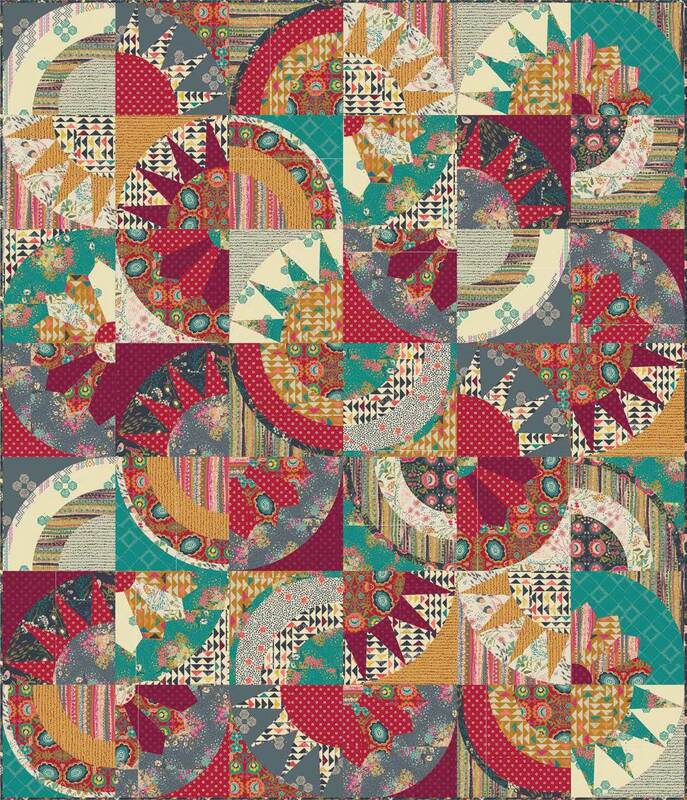 Susan writes, "I reassembled with new vintage red print fabric and hand quilted in my lap.... Quilters ! 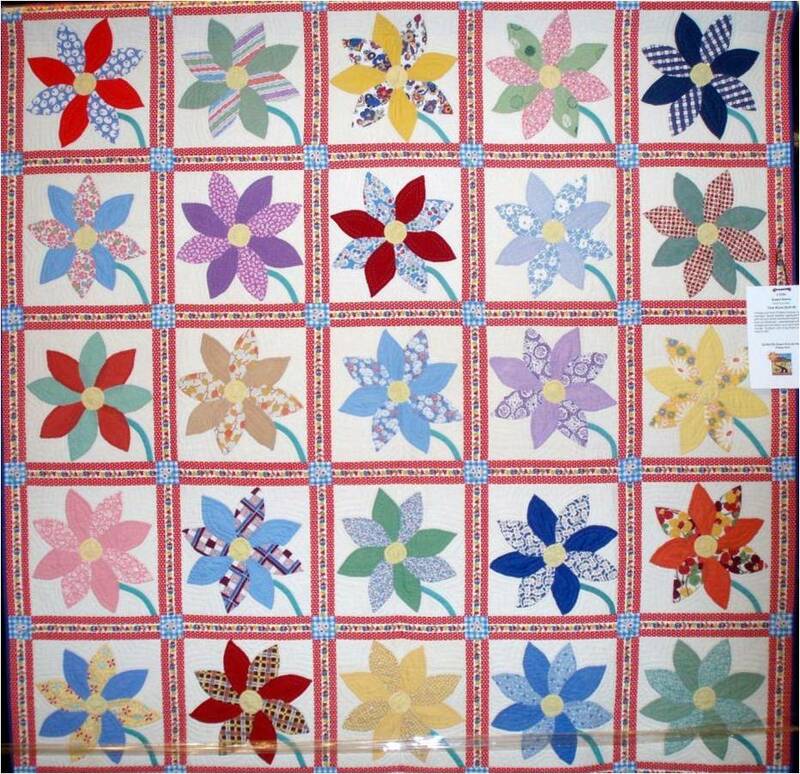 Let’s bring those old quilts back to life !” The vintage pattern, which was popular in the 1920's and 1930's, is called Lazy Daisy, or just Daisy. 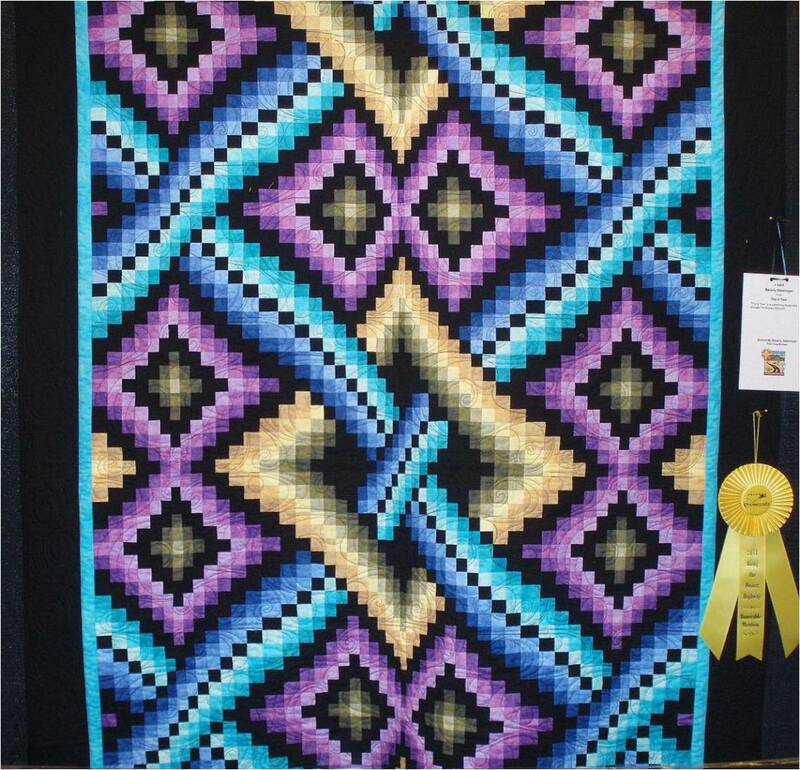 This quilt won honorable mention for a First Time Entrant, and it was so well done. 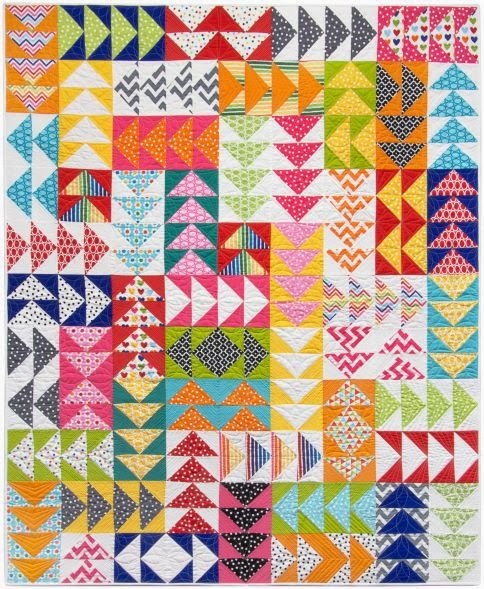 Beverly Hasslinger says that her ‘Trip X Two’ quilt was based on a pattern by Rosemary Malzahn for Bigsby Designs. We think it looks more like the modern bargellos we've seen, such as this one by Dereck Lockwood. 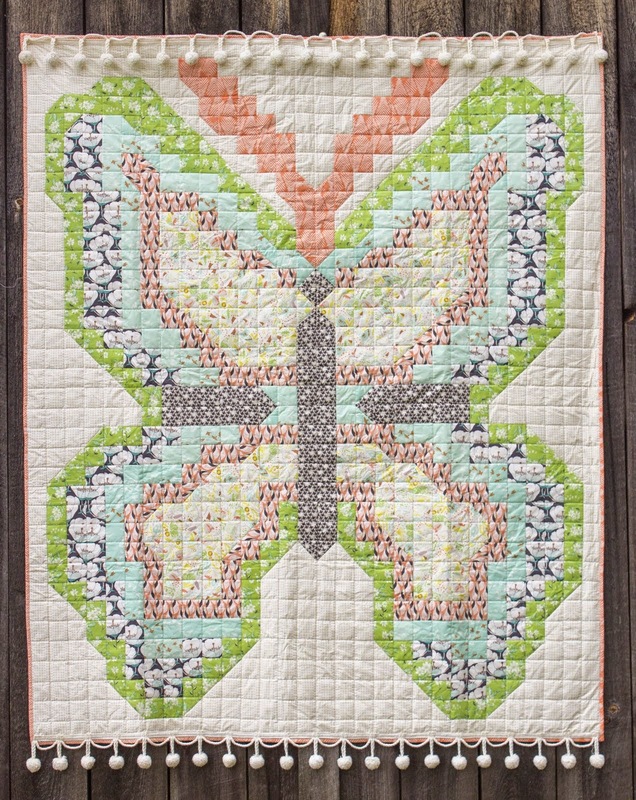 A beautiful broderie perse quilt that was hand button-hole stitched, hand embroidered, and hand quilted. 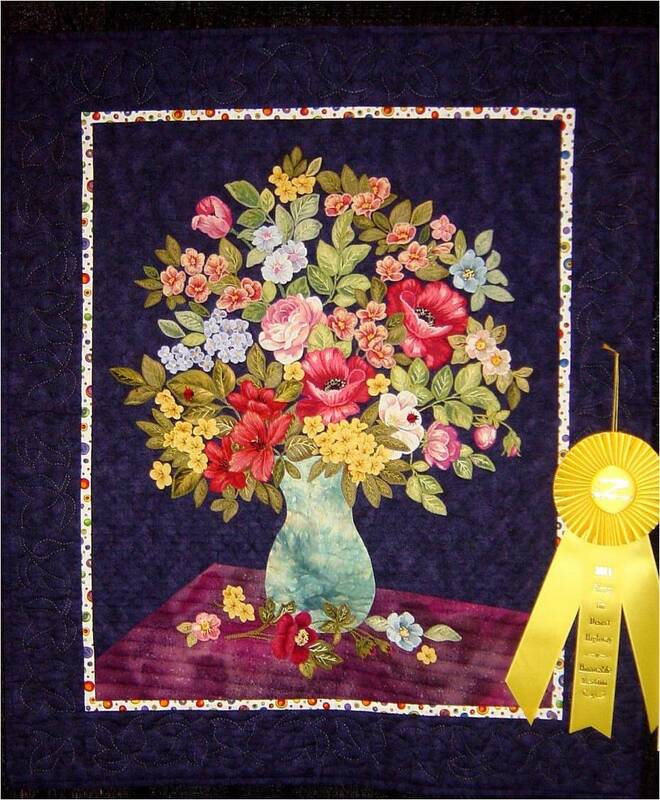 True to the tradition of broderie perse, Geri carefully cut out the flower prints from a variety of fabrics, then appliqued them onto the background to create the lush bouquet here. 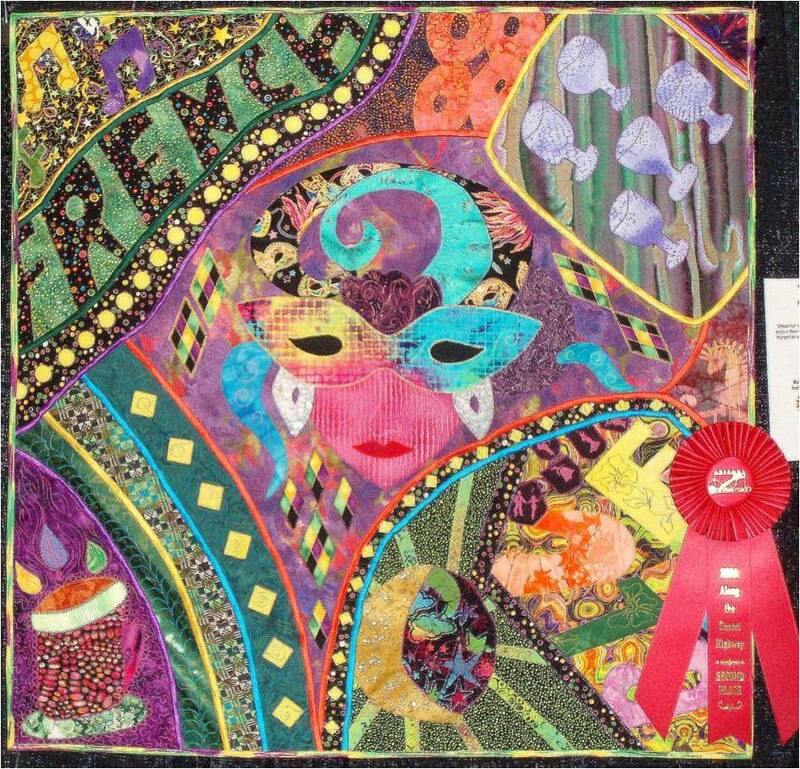 This quilt won honorable mention in the Pictorial Quilt category. 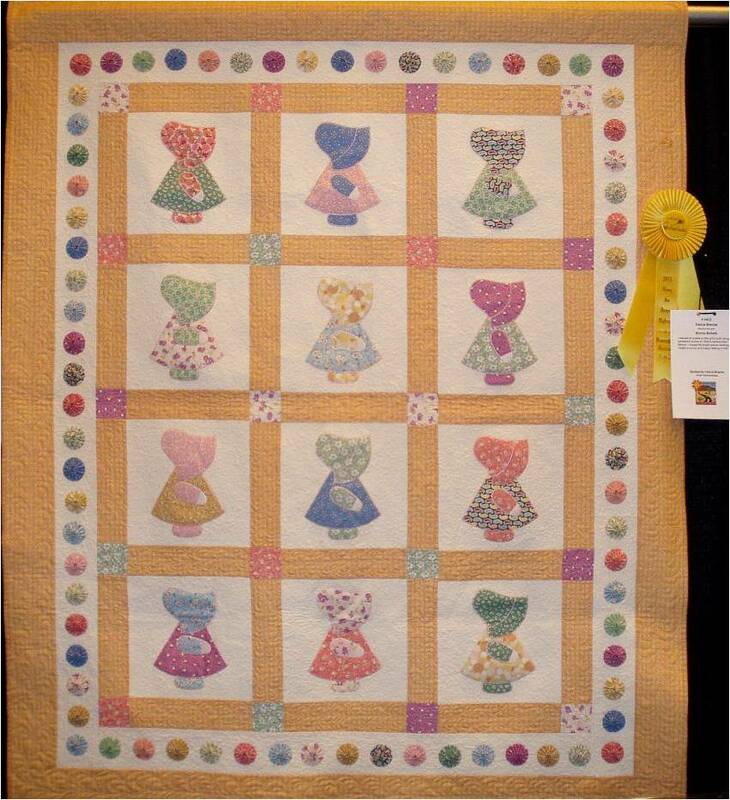 This quilt won honorable mention in the Scrap Quilt category. Sharon Angelo says: “I am a huge fan of Cherrywood Fabrics (richly colored cottons with the brushed look of suede leather). 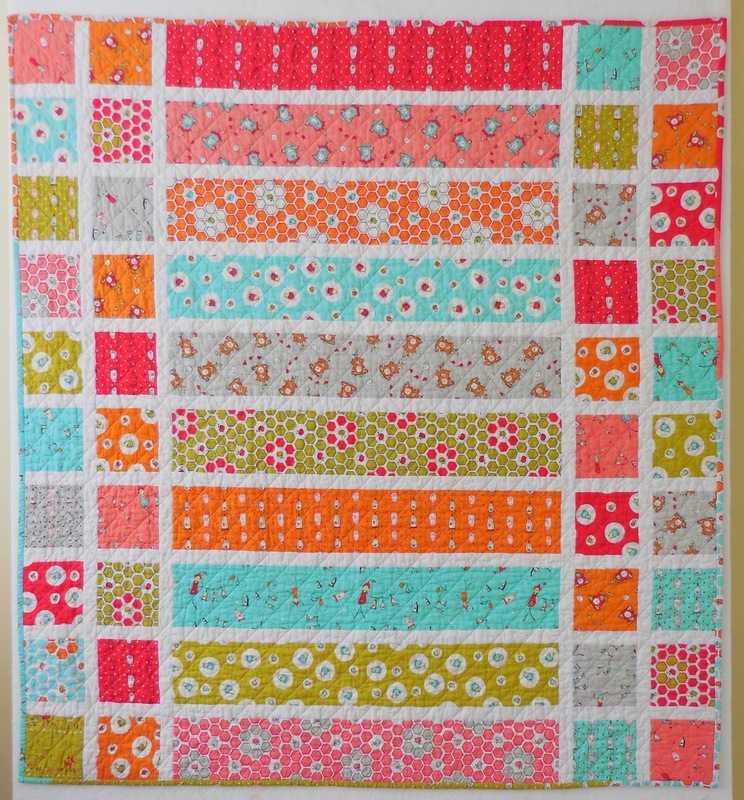 When I saw a quilt by Country Threads, I altered the size of the blocks to begin. 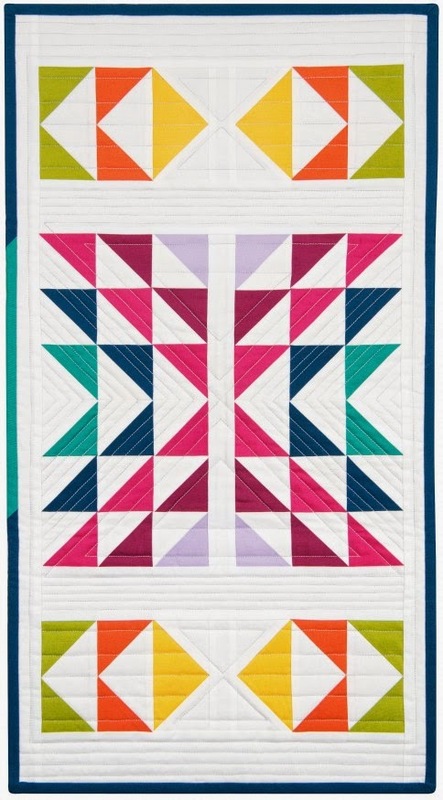 Seeing all the different colors sewn together gives spirit to this quilt, hence the name ‘Carnival’.” The wavy quilting lines add to the lively design. 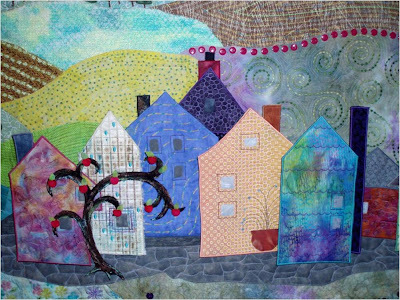 Terri McNeill, who lives in County Dublin, is the creative director at Irish Quilting magazine. 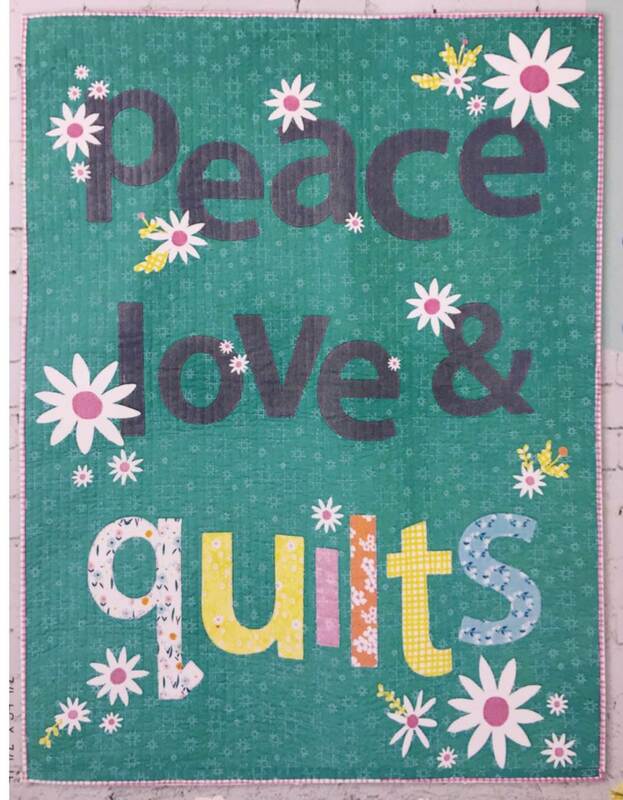 "Céad míle fáilte" appeared in volume 1, issue 2, which you can browse at the Irish Quilting website (the issue is still available via digital download). 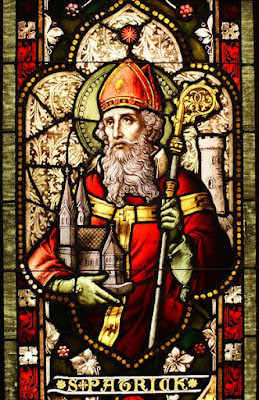 For some real inspiration, take a moment to listen to the beautiful hymn known as St. Patrick's Breastplate, as sung by Angelina (you'll be glad you did !) The hymn is written in the style of a druidic incantation for protection on a journey. *Additional links: Are you wondering how to pronounce céad míle fáilte? It sounds a bit like kaid meel-a fall-cheh.. You can hear how it is actually pronounced - in three different dialects - at Irish-Sayings.com. Also, you can read about St. Patrick and his life and read the full text of the hymn at Wikipedia. 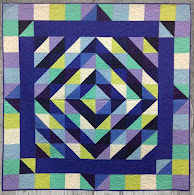 Here are some gorgeous storm-at-sea quilts we've shown at Quilt Inspiration. We are so fascinated by the design possibilities of this block ! 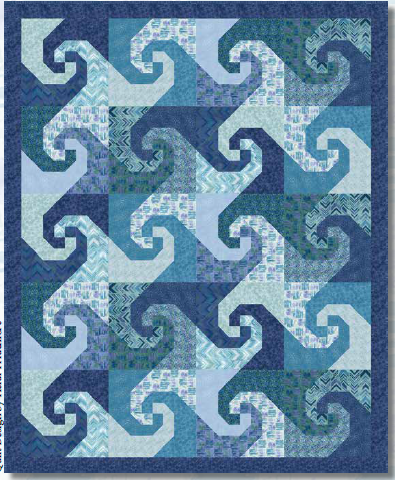 For free downloadable block diagrams and free storm-at-sea patterns, please see our updated post: Storm at Sea Quilts and Free Block Diagrams. 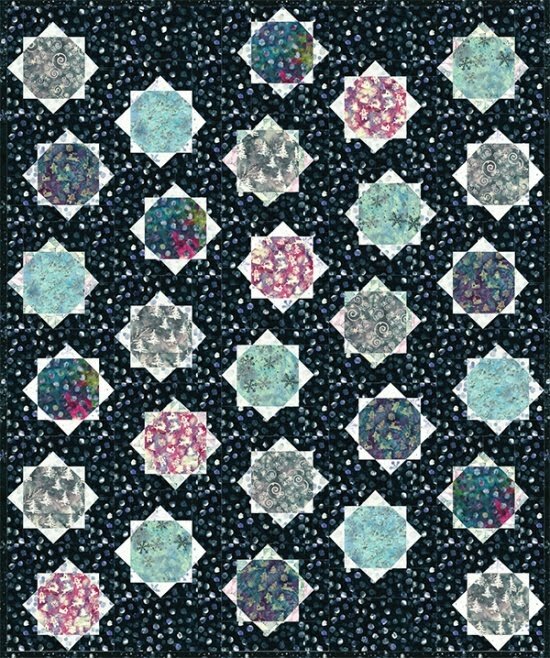 Row 1: Eye of the Storm by Peggy Martin, at Peggy Martin Quilts; Heart of the Storm, by John Flynn, at Flynn Quilt. Row 2: Summerfest Garden, by Joen Wolfrom; Oceana, by Linda Jean Peterson at Cape Cod Art Studio. 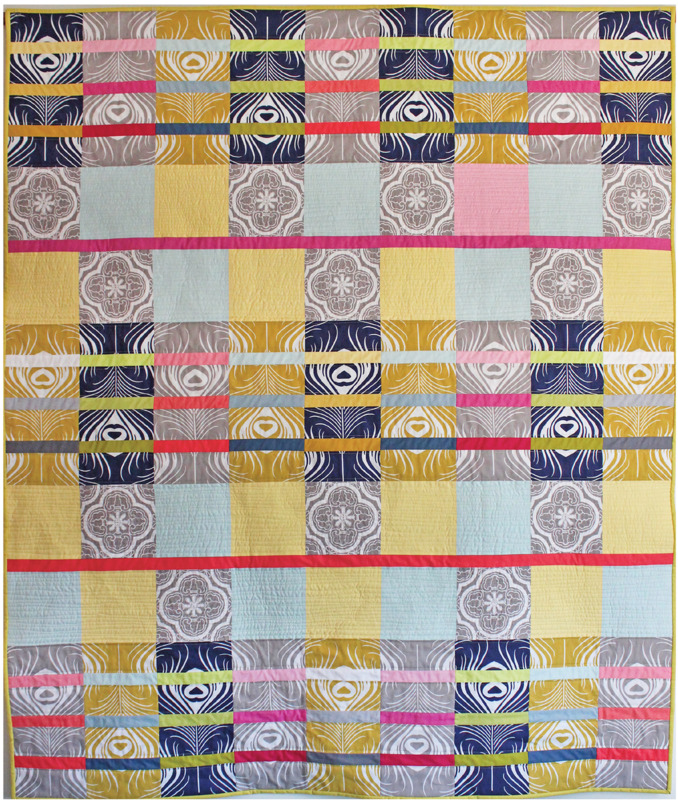 Row 3: Delft Storm, by Ionne McCauley, at Ionne Quilts; Albers at Sea, by Debra Levin at the Empire Quilters Guild. Can you believe it's a storm-at-sea ? 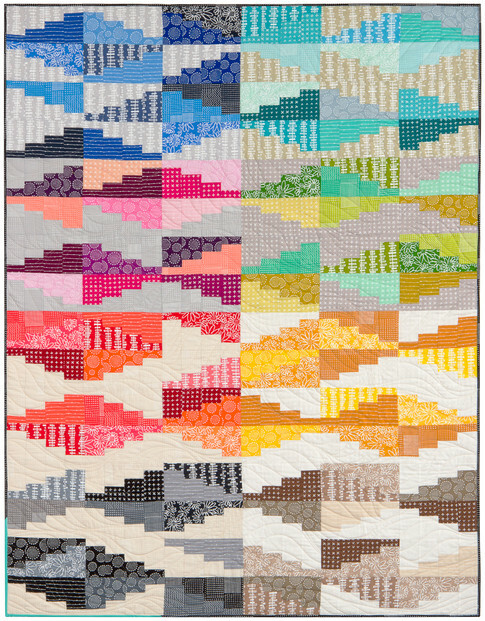 We had to peer at this fantastic quilt for a few minutes to realize that it is, indeed, a storm-at-sea quilt. The designer and author, Joen Wolfrom, has cleverly created a summer garden with giant sunflowers against a blue sky. 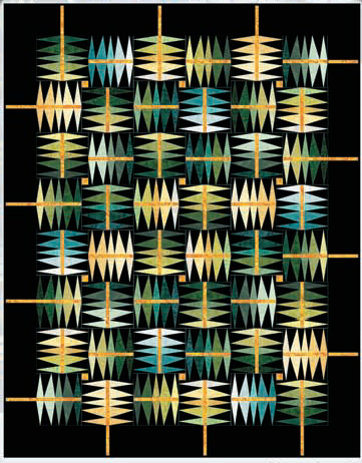 Her amazing design, which goes beyond the traditional sea theme, makes us think about this pattern in a whole new way ! Summerfest Garden graces the cover of the book, A Garden Party of Quilts, by Joen Wolfrom. 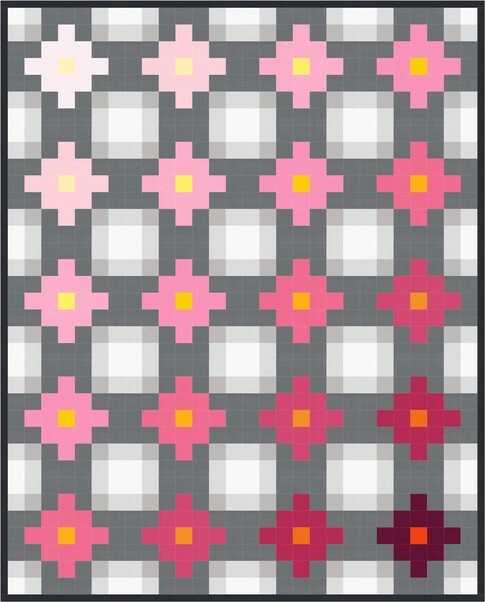 All seven of the flower quilts in the book are pieced, and there are some real beauties - tulips, clematis, poppies, and more - created with various block patterns. 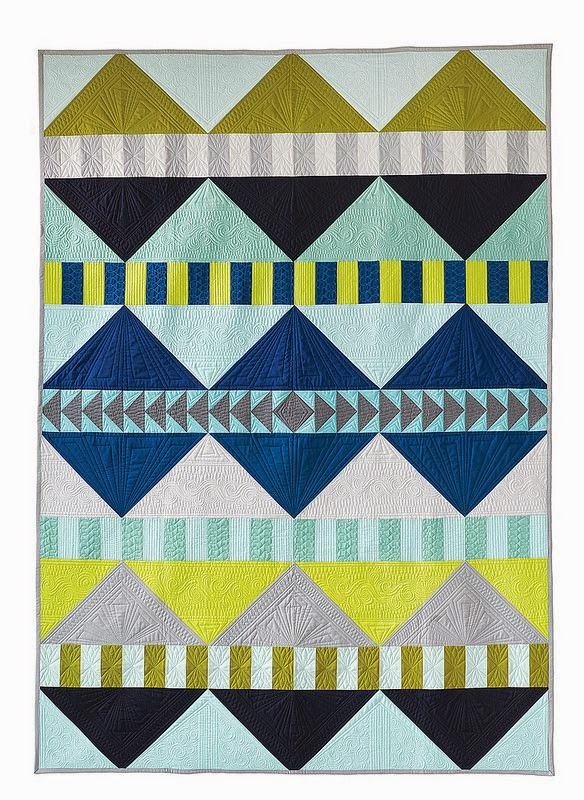 When we told Joen about our interest in storm-at-sea quilts, she was generous enough to share another design: a landscape quilt which is another wonderful example of Storm at Sea possibilities. The design, called Majestic Mountains, has not been made yet and is waiting in the wings. 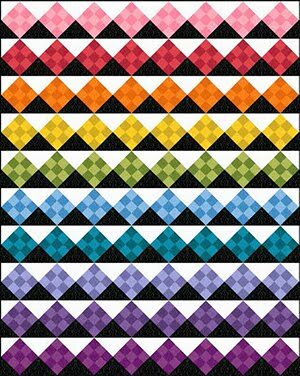 Wouldn't this make a gorgeous quilt? 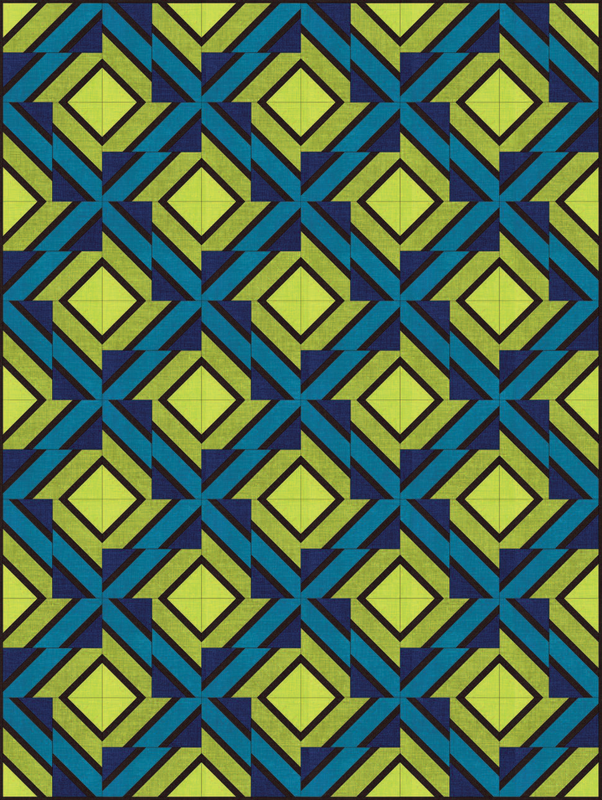 With the gridlines removed, you can see how the quilt will look (below). Joen Wolfrom makes her home in the Pacific Northwest, and these peaks remind us so much of the majestic Olympic Peninsula. Notice the way in which the mountains get lighter as they fade into the distance? Joen talks about this in her Landscapes and Illusions book. We've learned a lot from Joen Wolfrom's books, and we love her ultimate color tool (it's been called indispensable, which sums it up). Image credits and links: Images are shown with the kind permission of Joen Wolfrom. 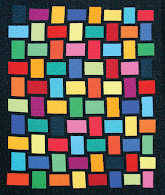 Joen began quiltmaking in 1974, and she has taught and lectured in the quilting field, both nationally and internationally, since 1984. She heads up JWD Publishing, a worldwide pattern company that features Joen's own designs along with many other superstars in the quilting world. 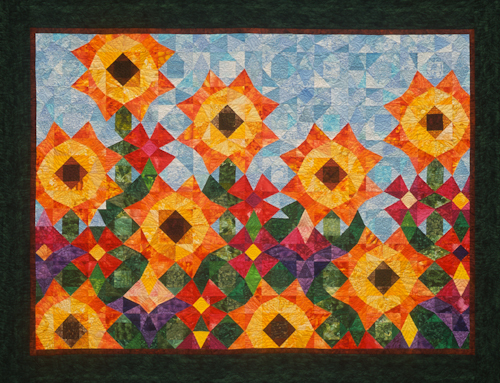 Additional credits : Summerfest Garden was pieced by Jeanne Lounsbury and quilted by Karen Dovala. You can find Karen Dovala at The Quilted Moose.